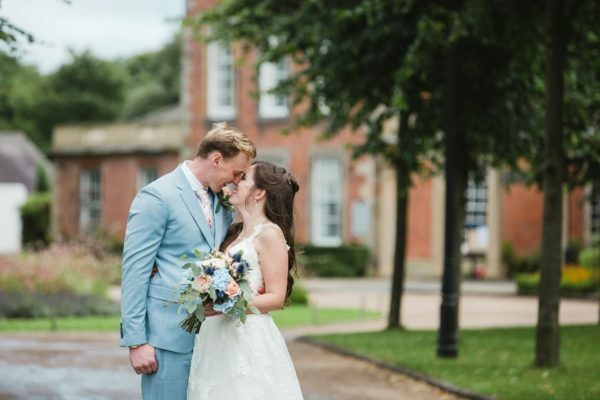 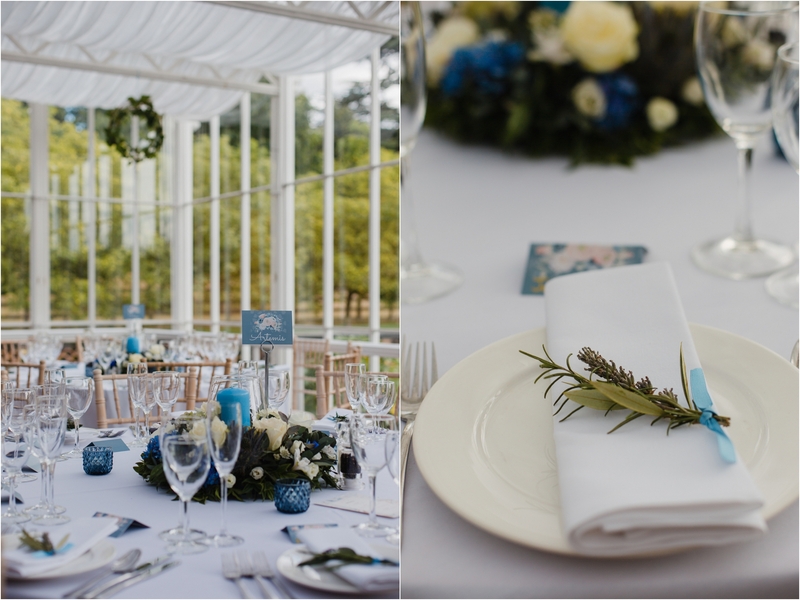 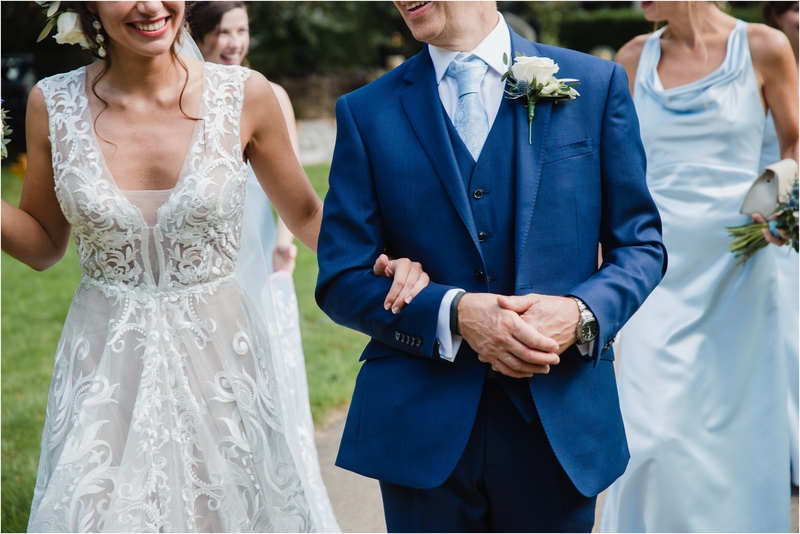 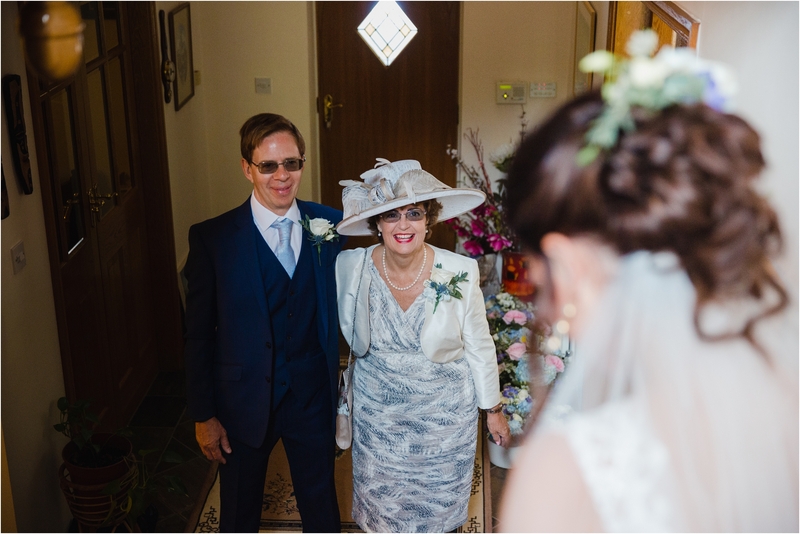 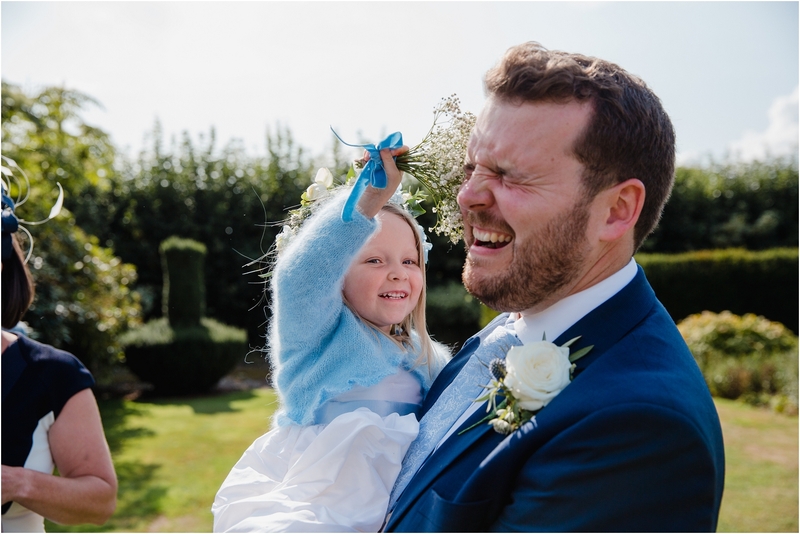 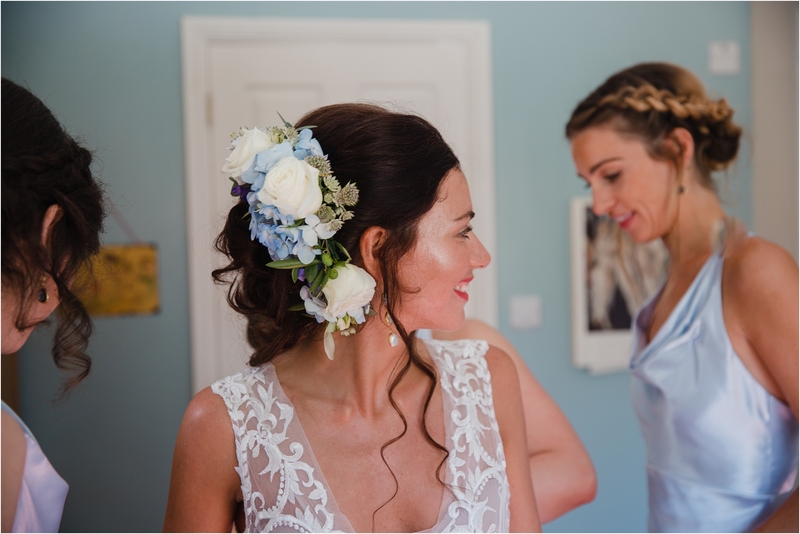 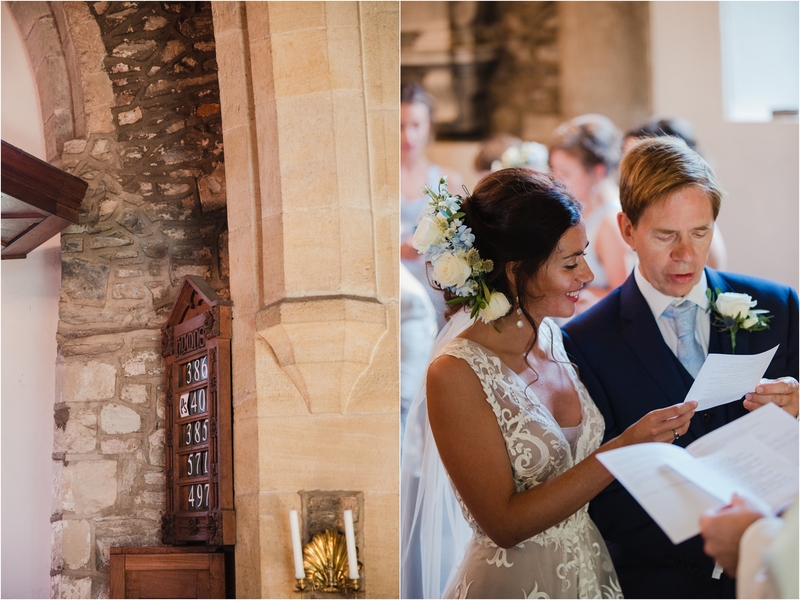 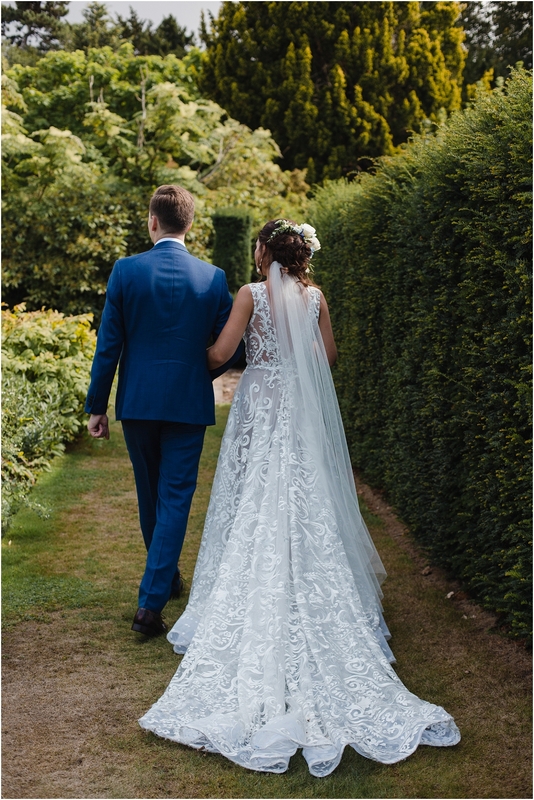 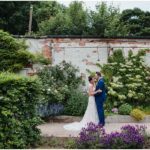 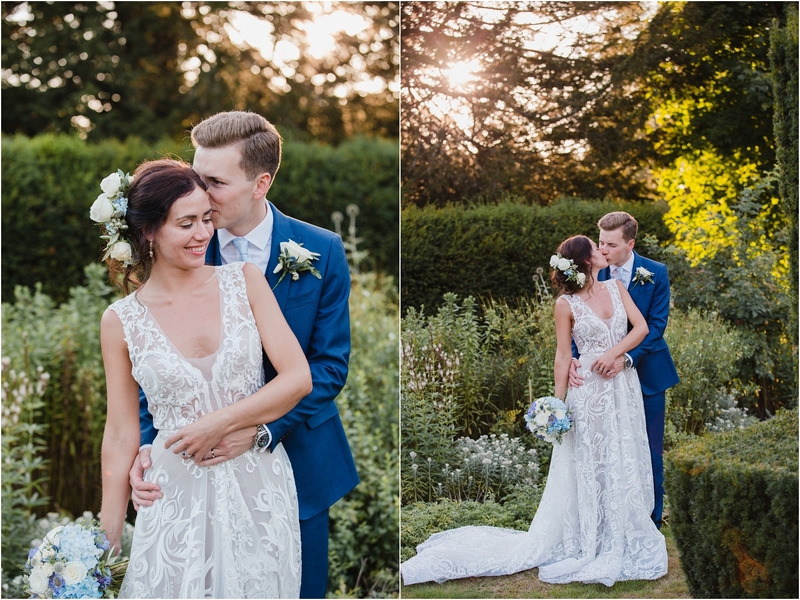 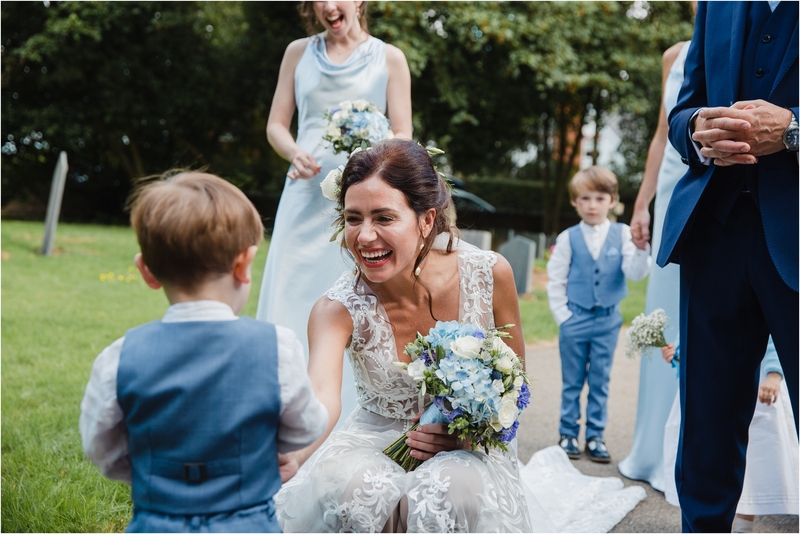 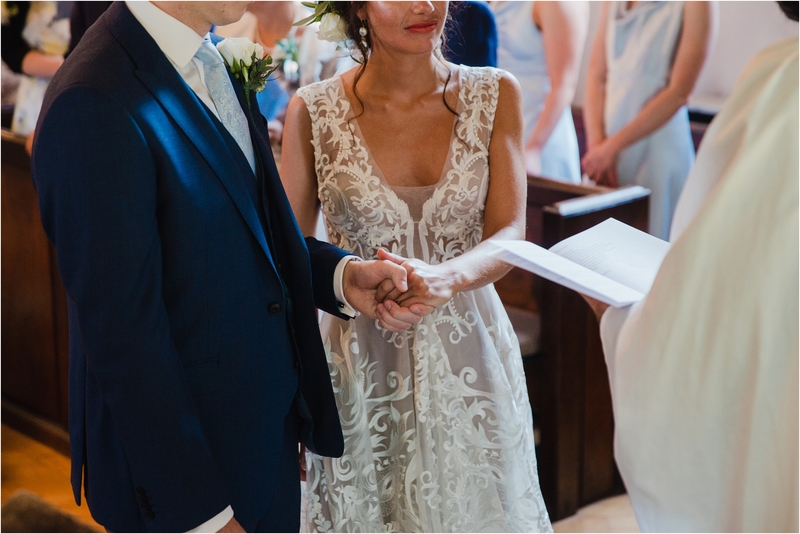 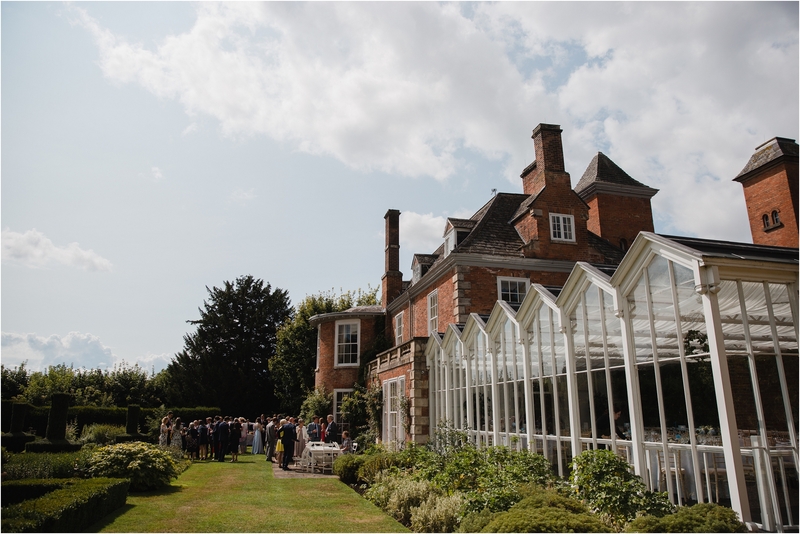 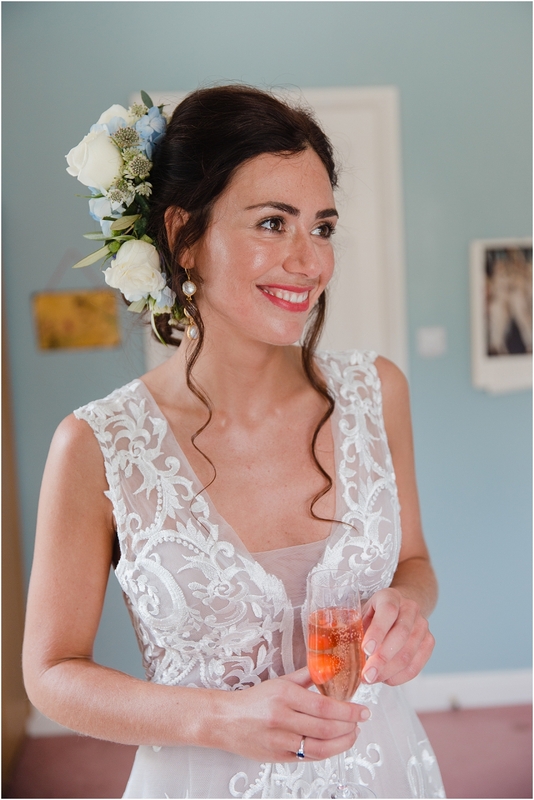 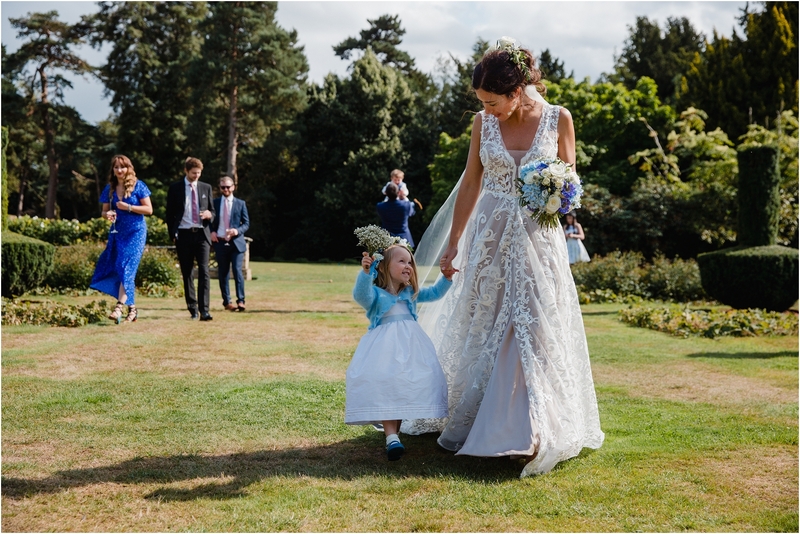 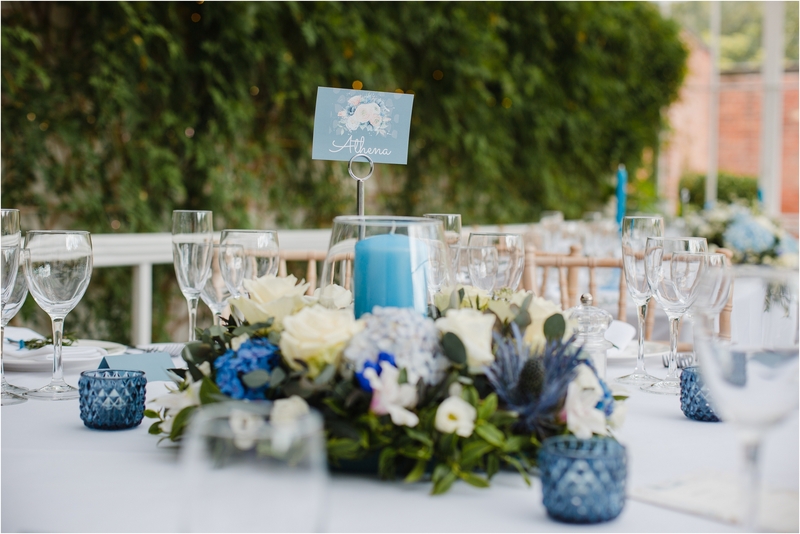 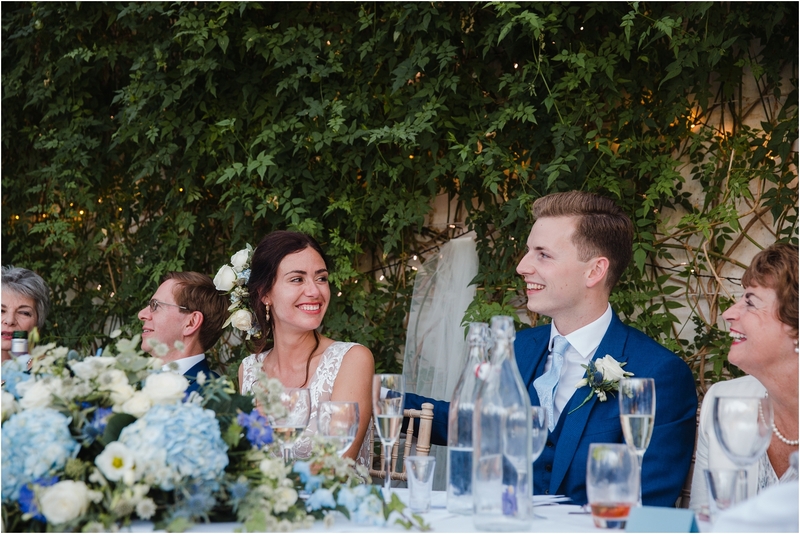 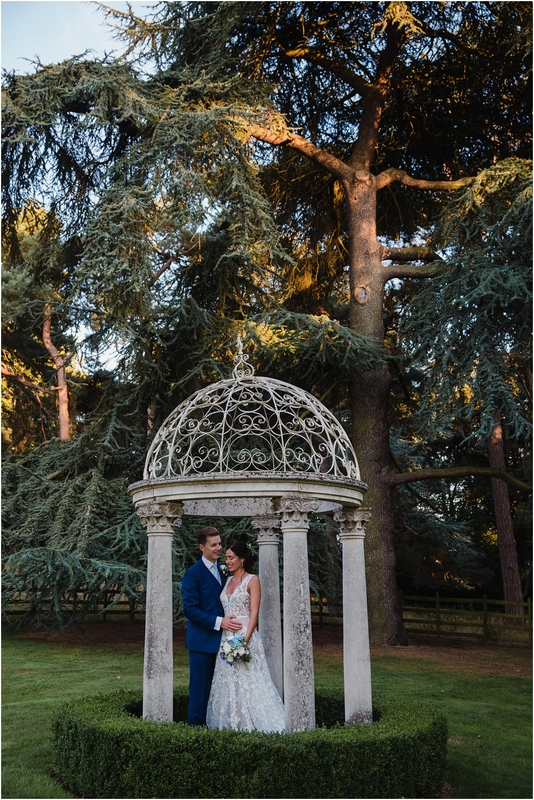 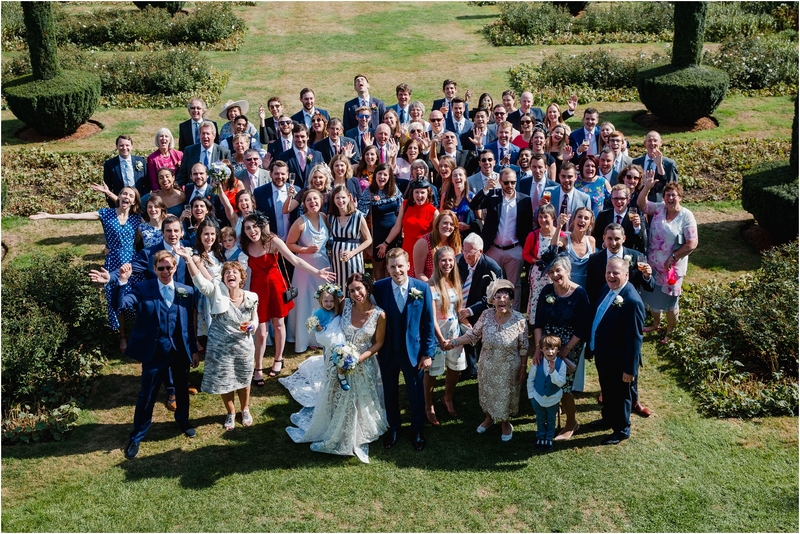 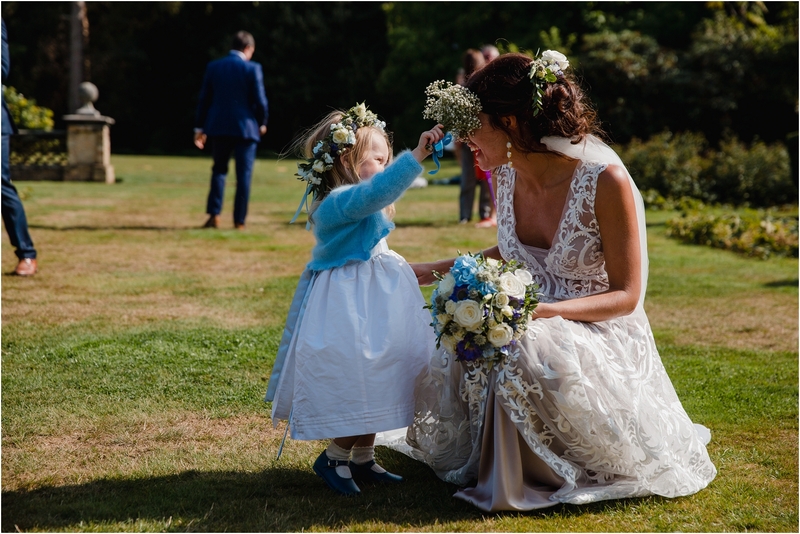 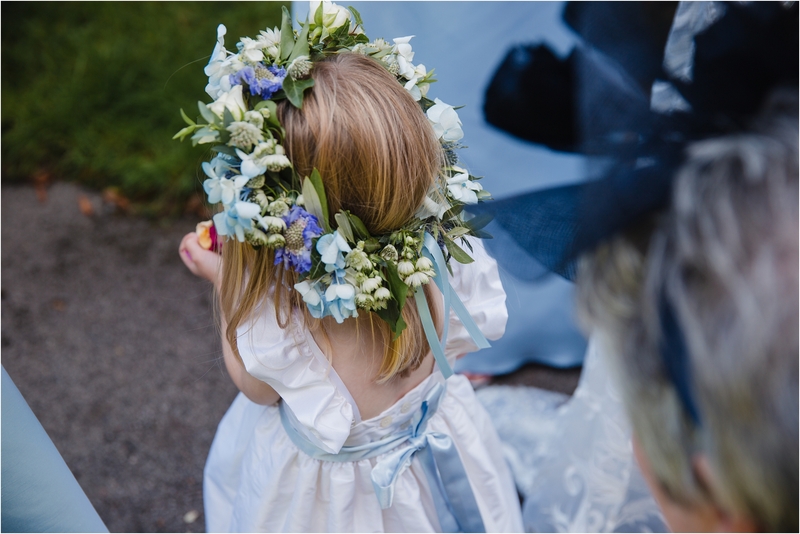 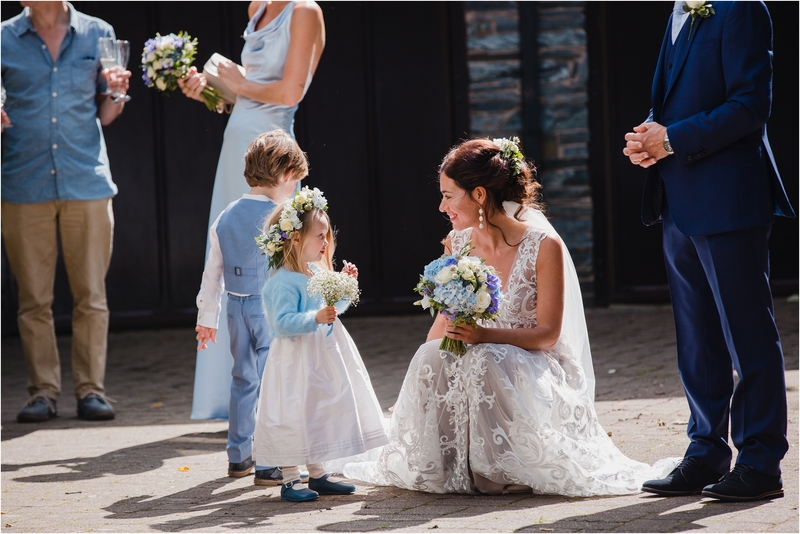 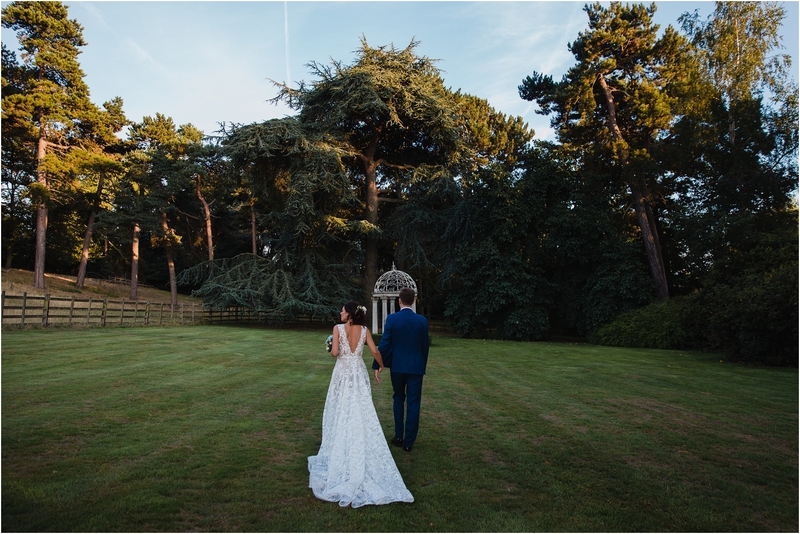 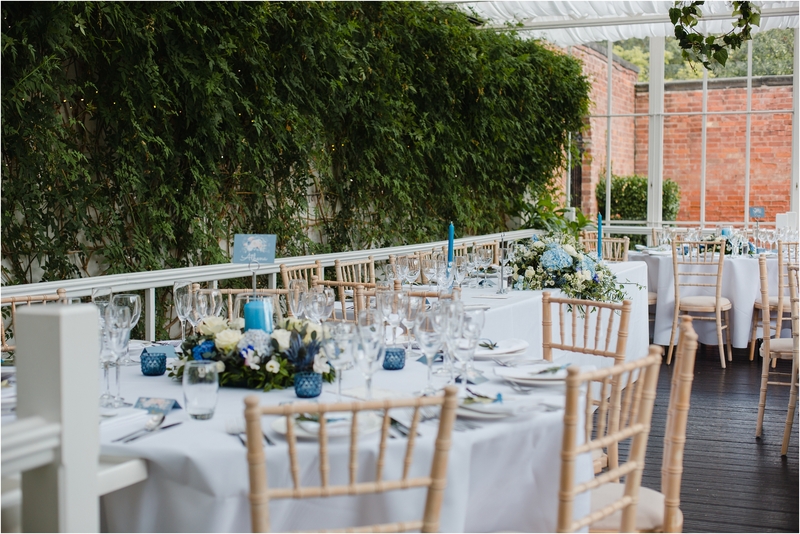 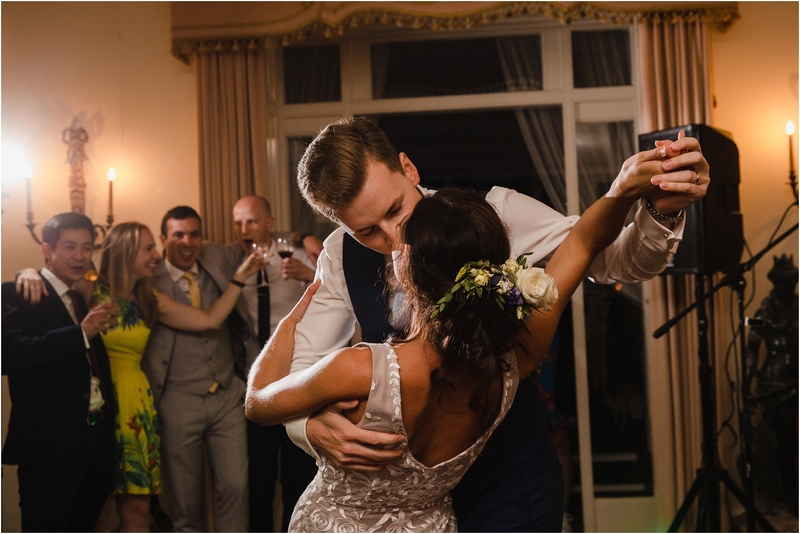 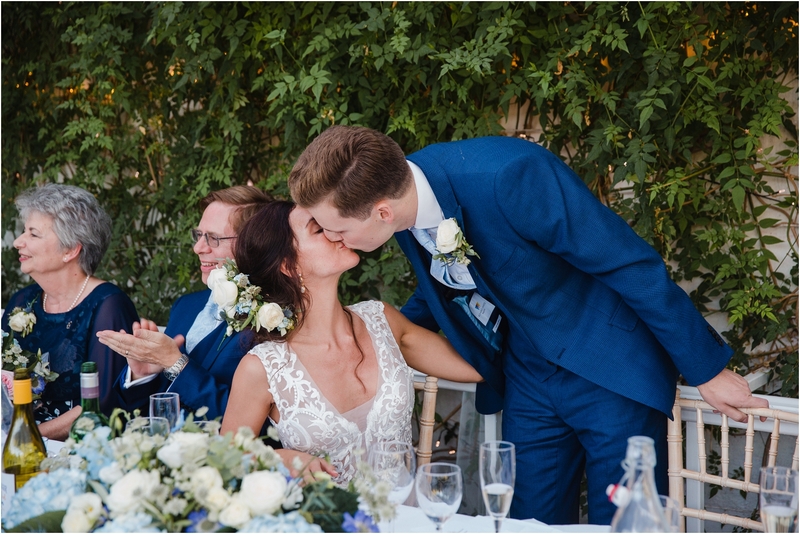 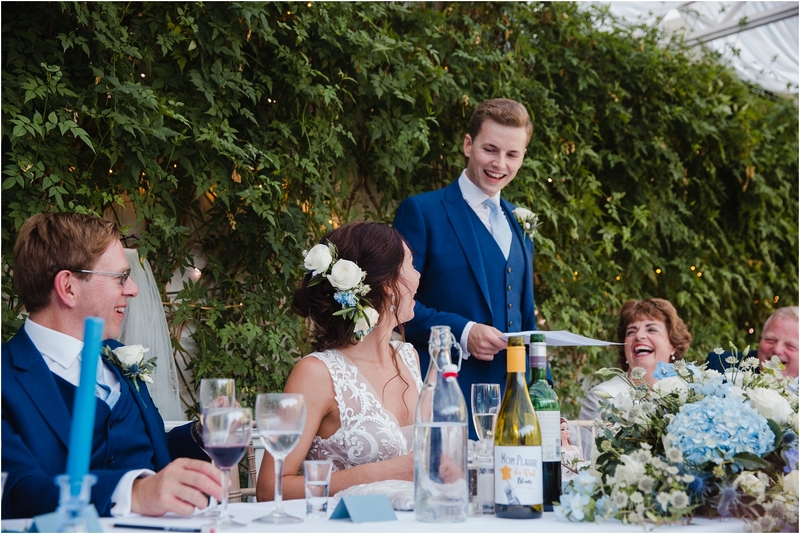 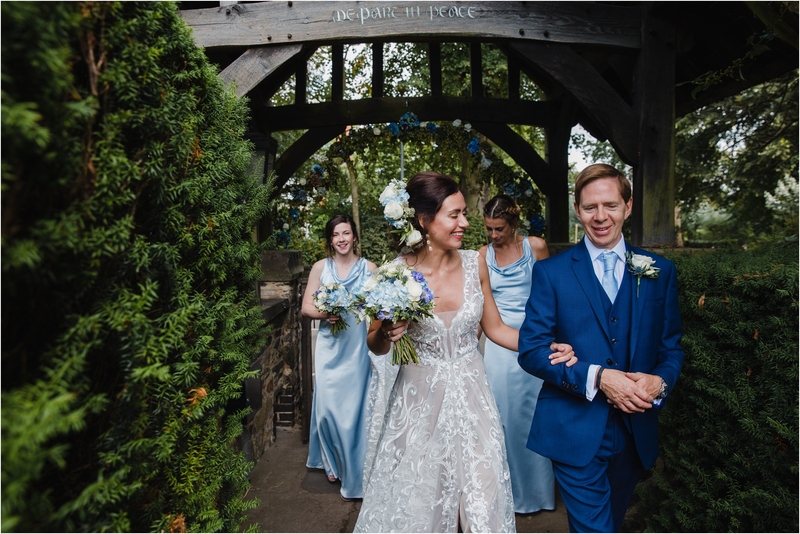 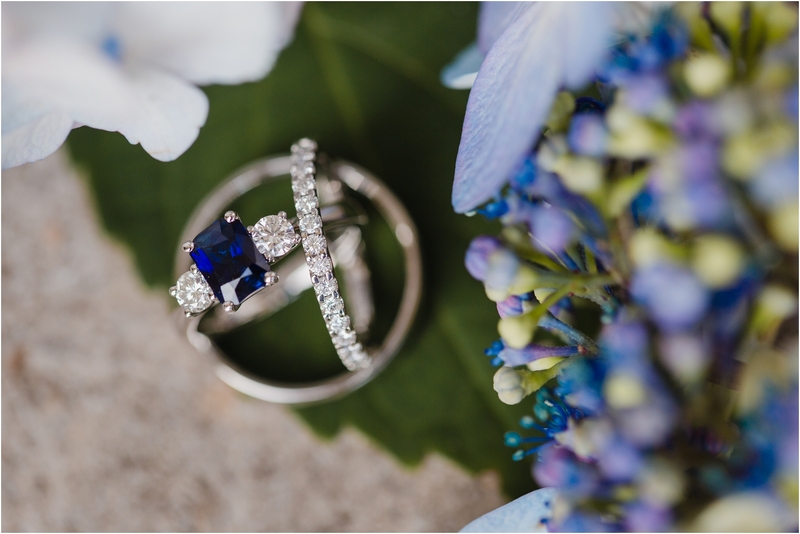 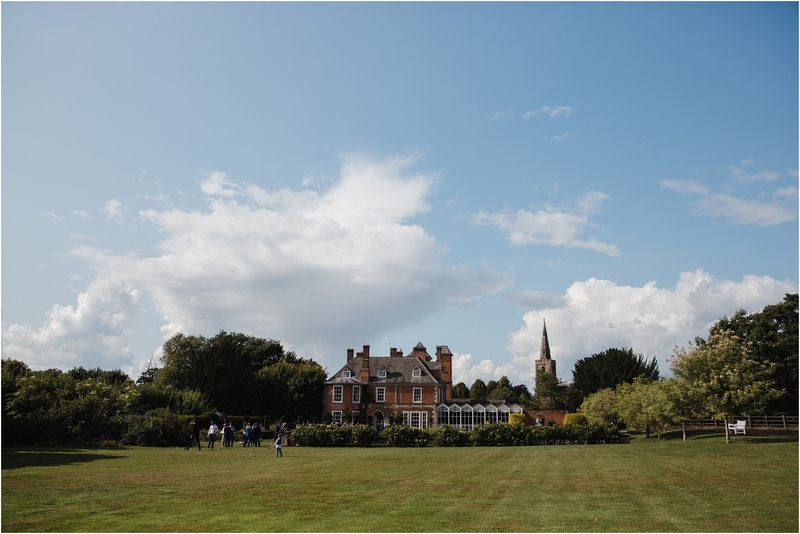 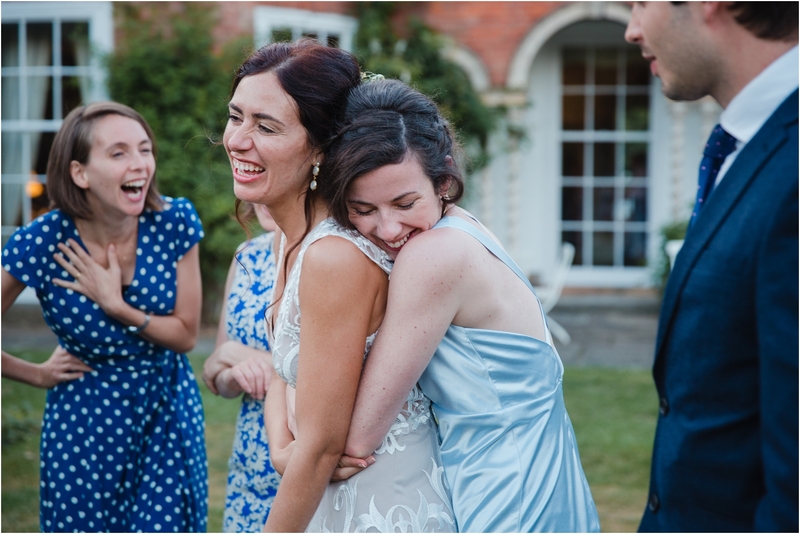 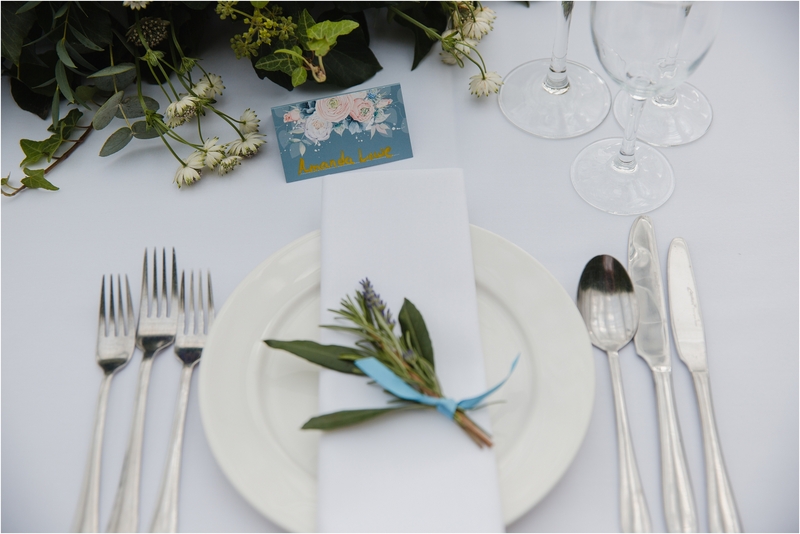 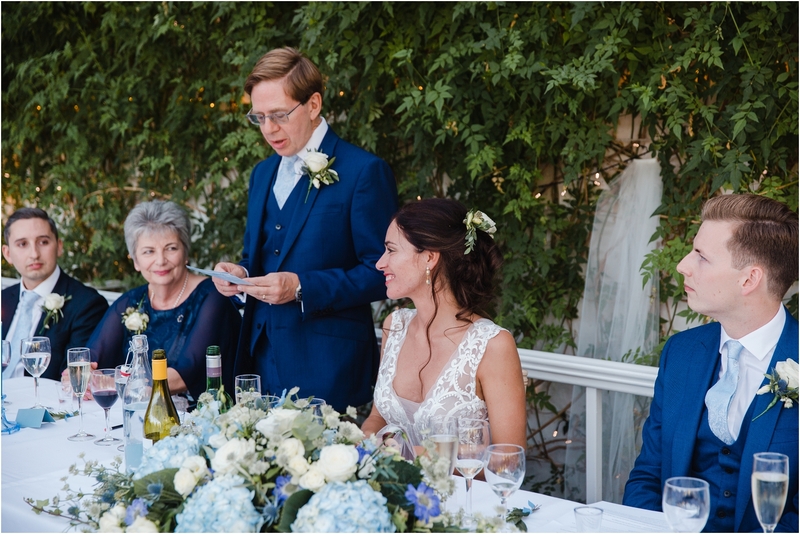 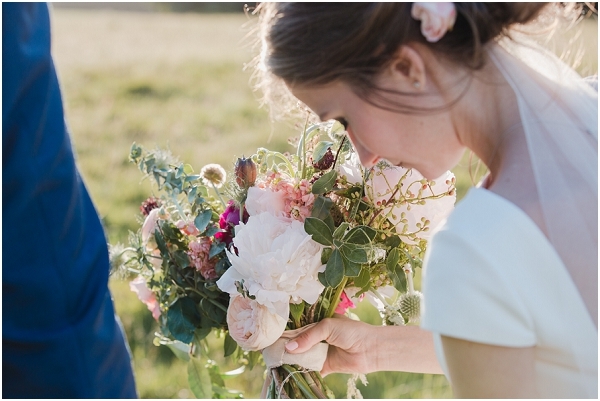 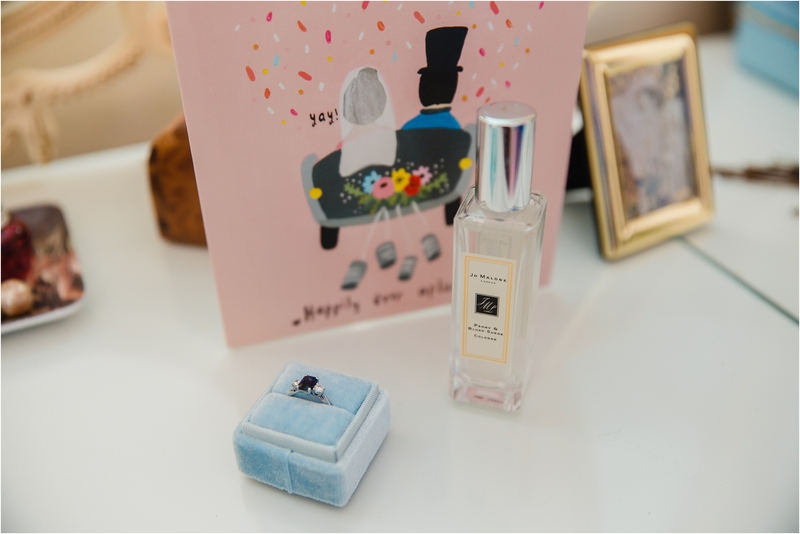 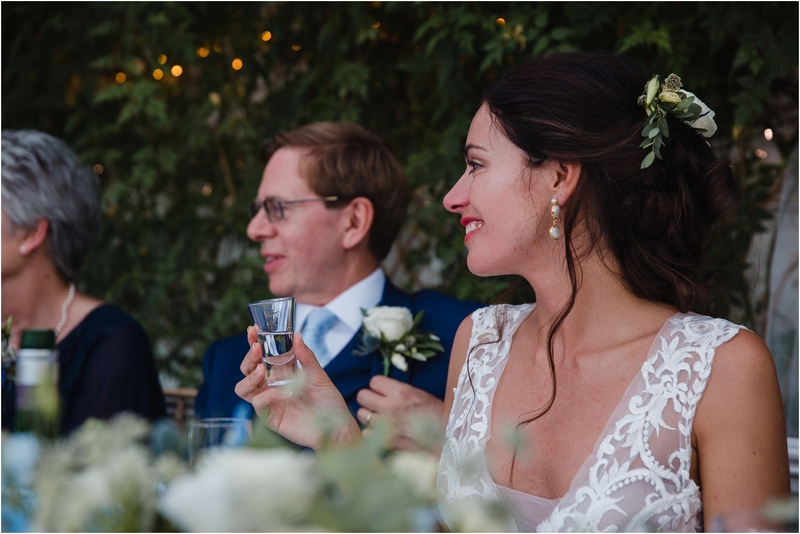 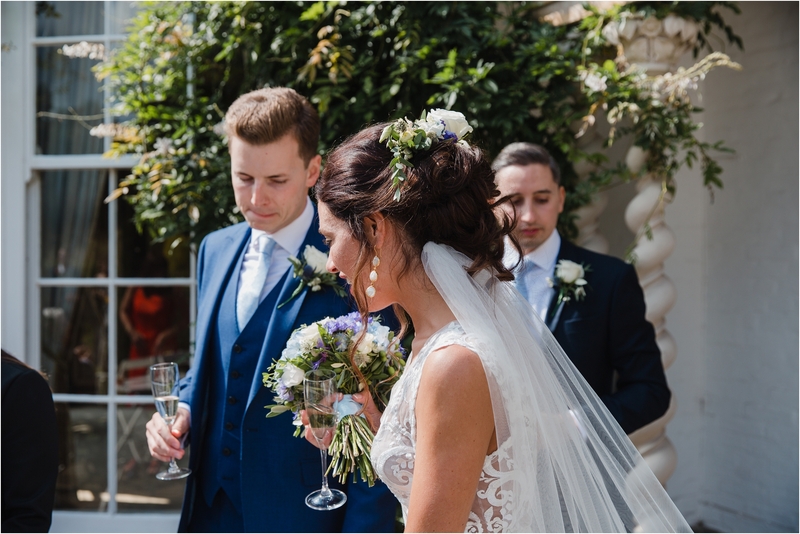 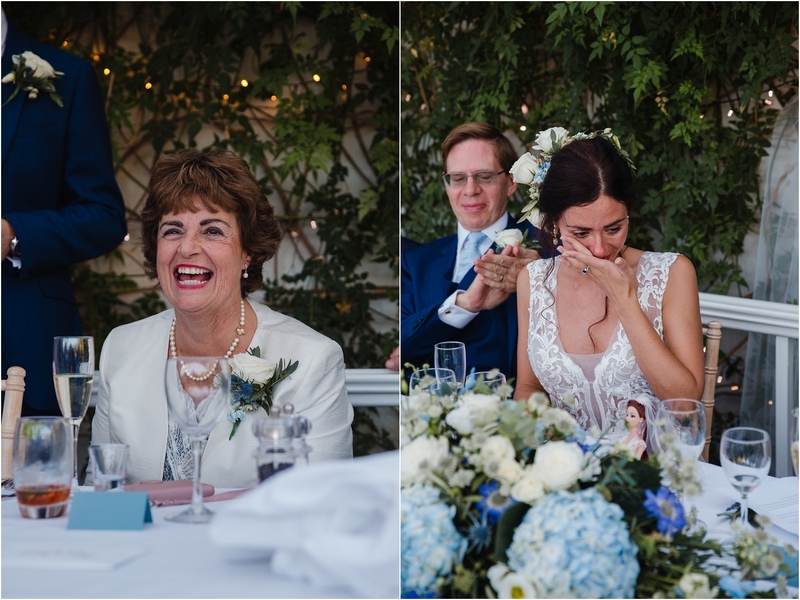 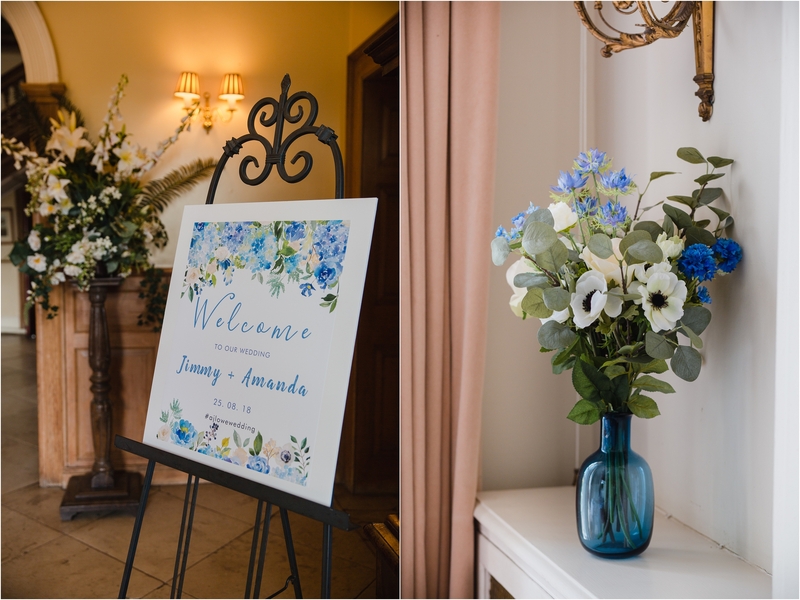 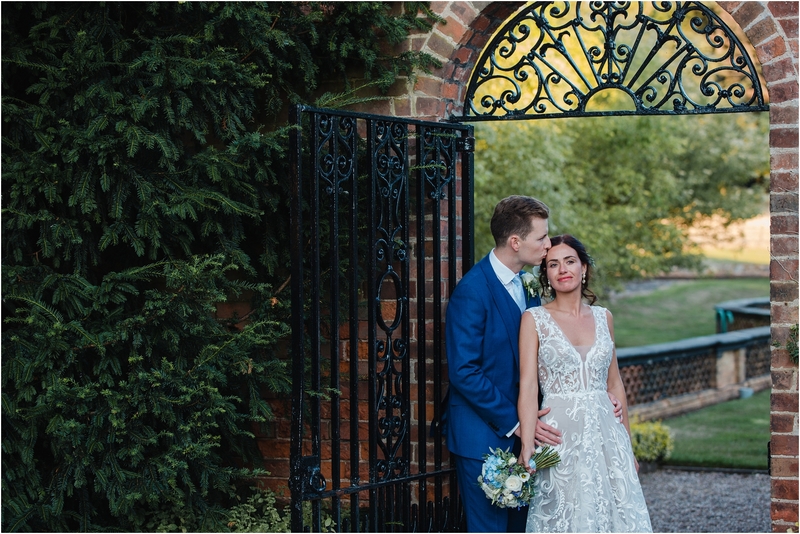 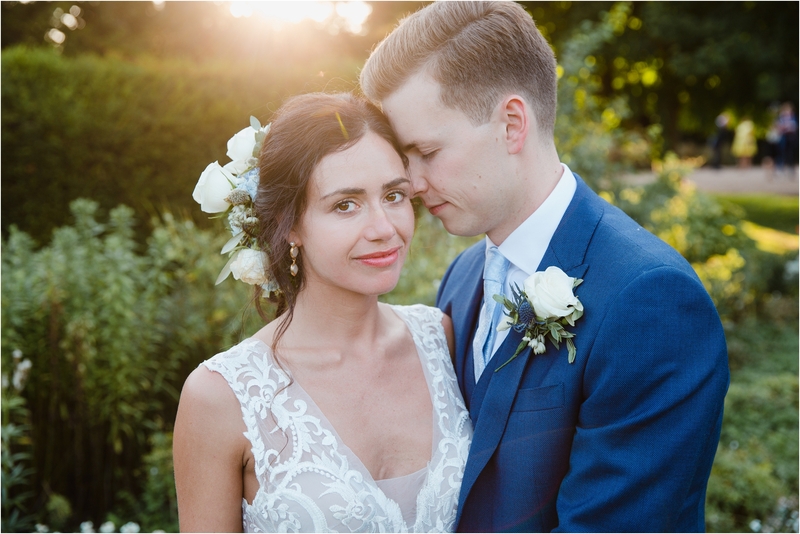 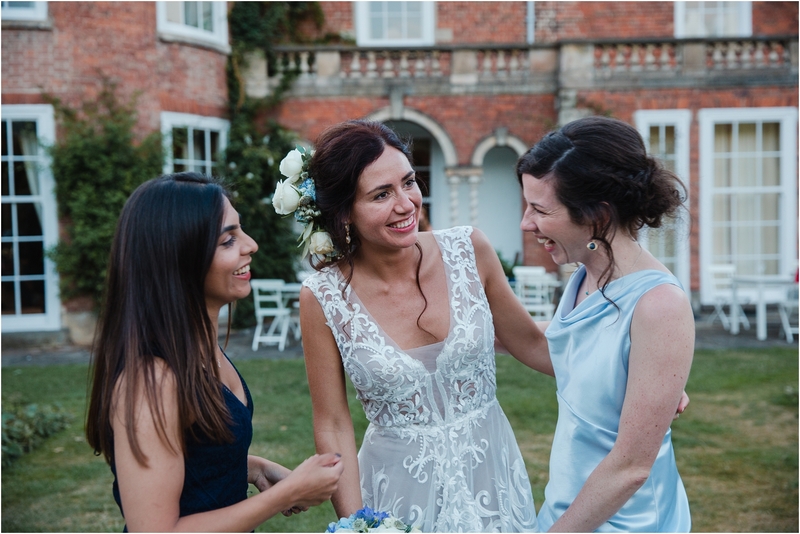 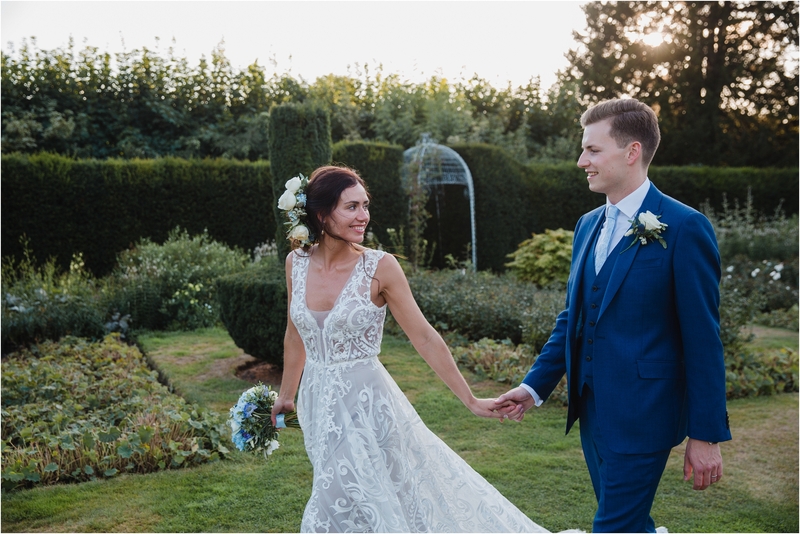 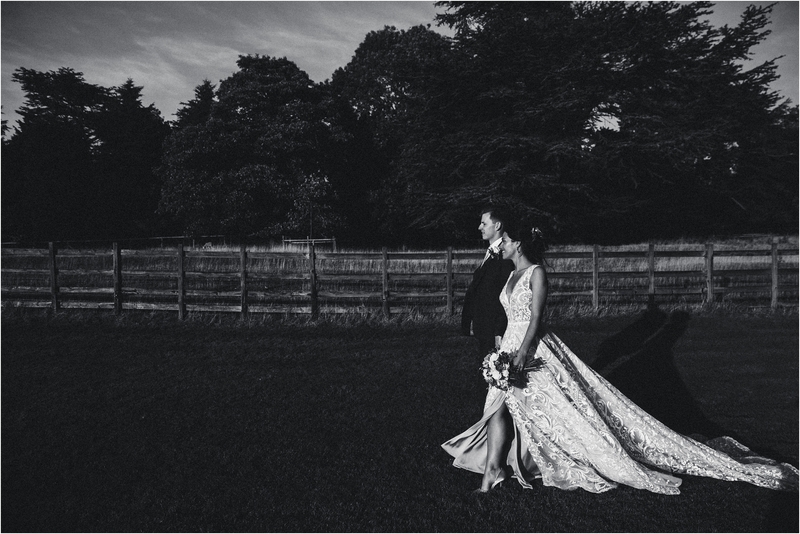 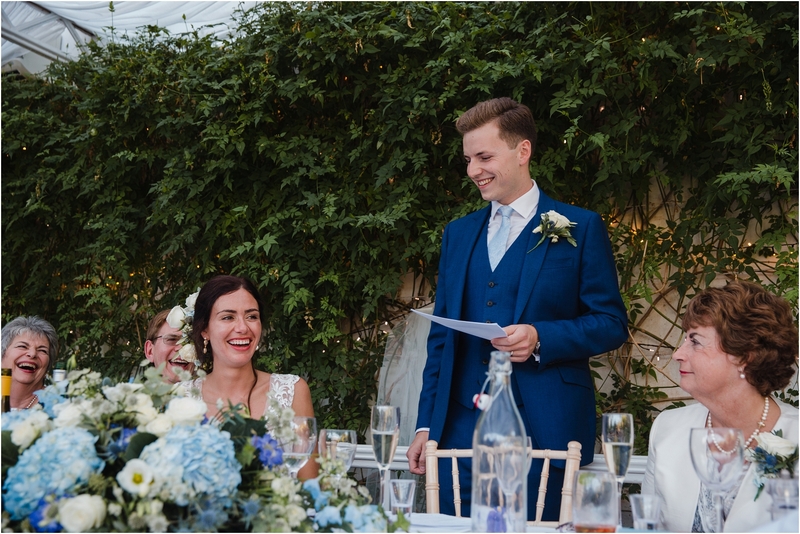 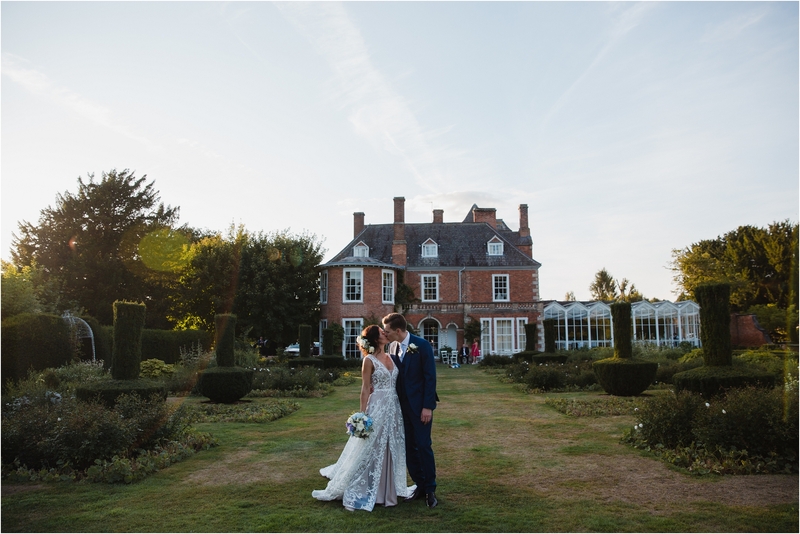 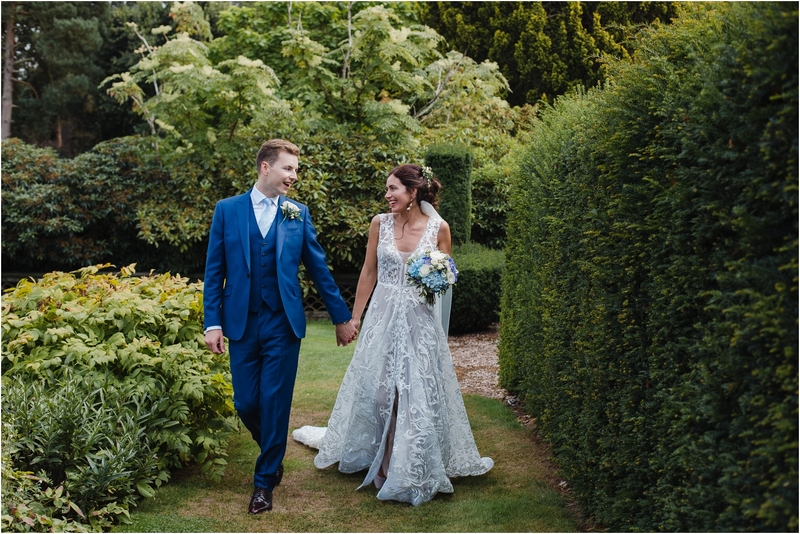 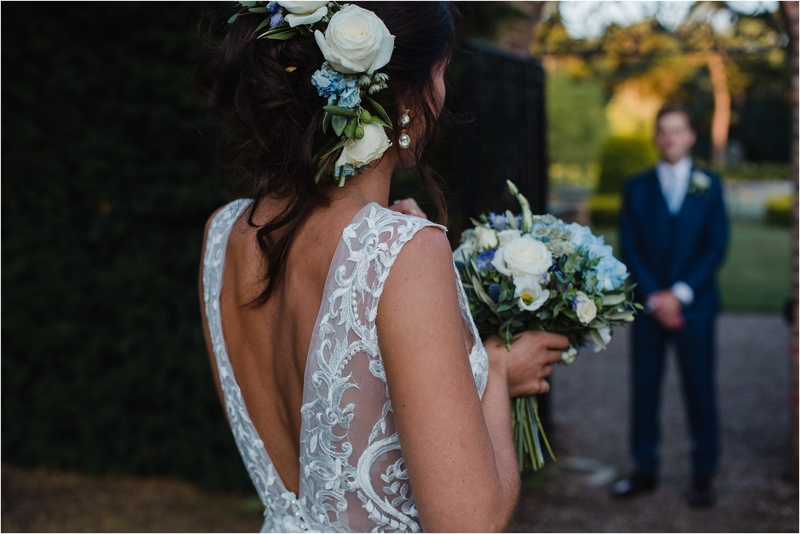 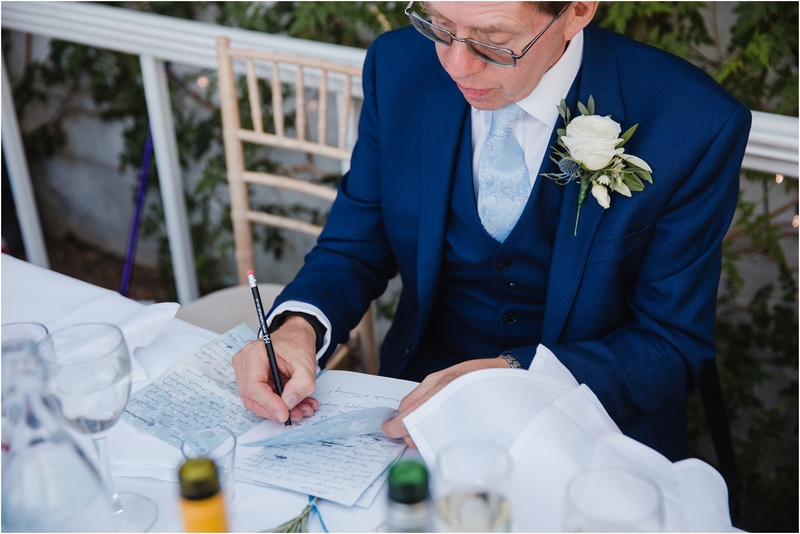 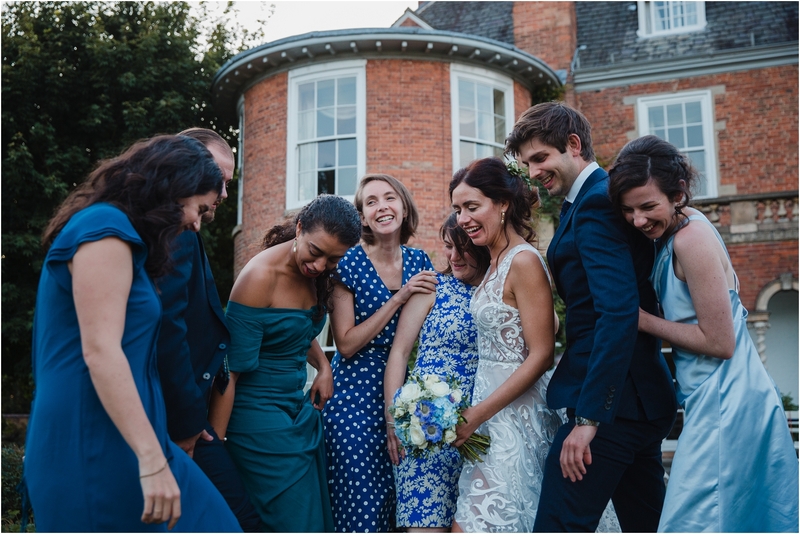 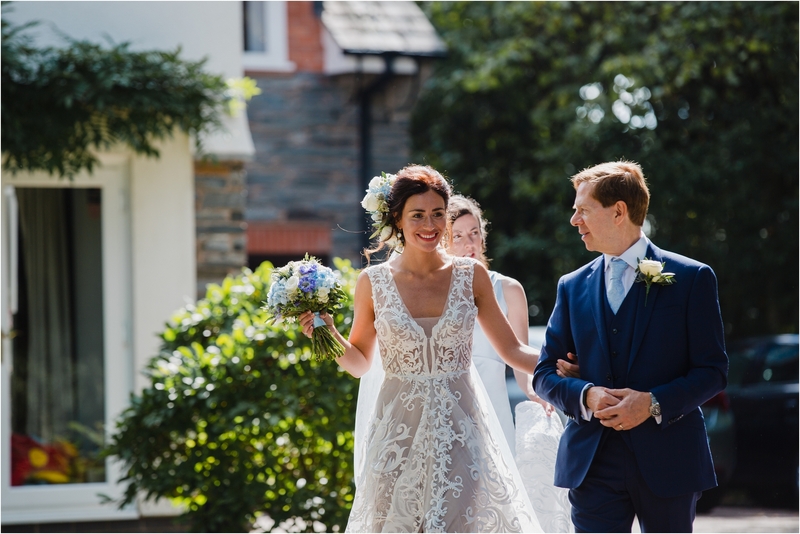 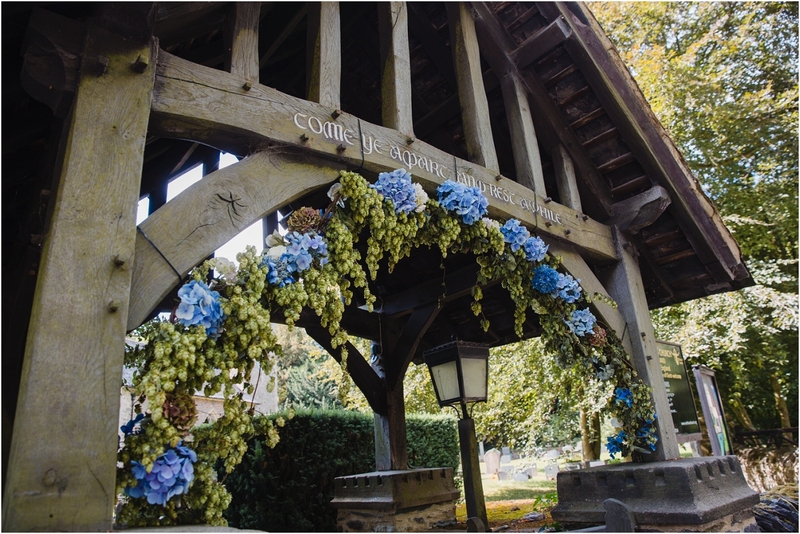 This beautiful Sutton Bonington Hall wedding has the taste of a warm summer on a beautiful greek island; the touches of mediterranean blue, the smell of vibrant fresh flowers & delicious herbs and the glorious summer sunshine create a real essence of the brides Greek heritage…. 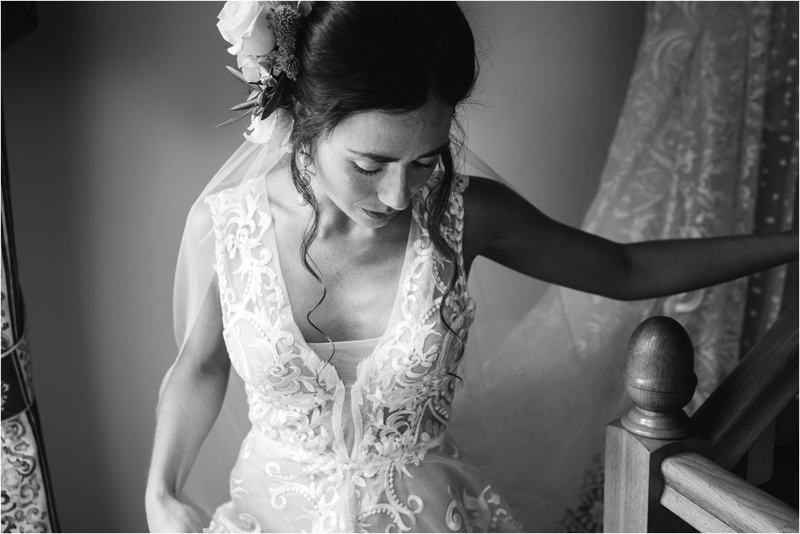 I was especially excited to see Amanda’s wedding gown as they mentioned that Jimmy’s mother was making all of the dresses for the big day! 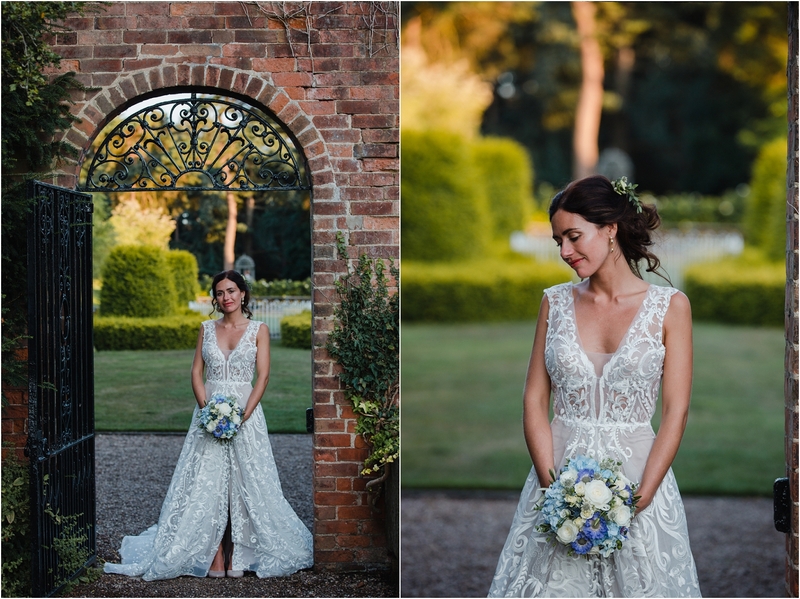 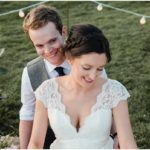 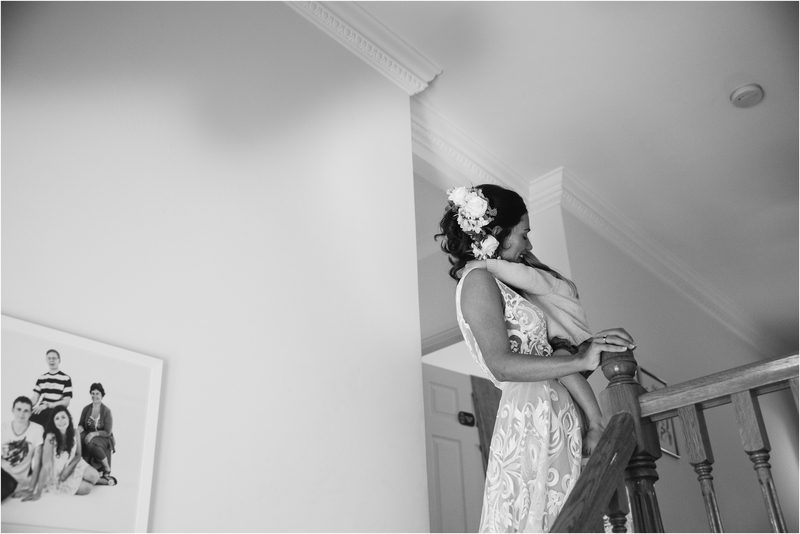 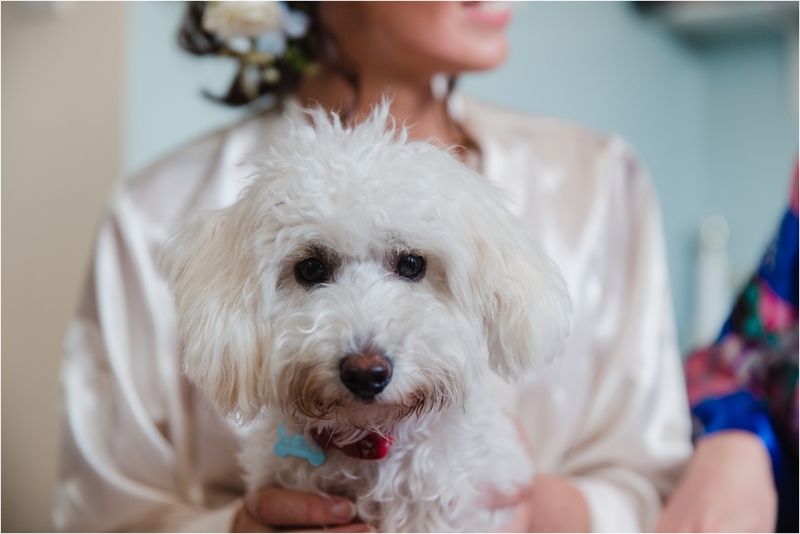 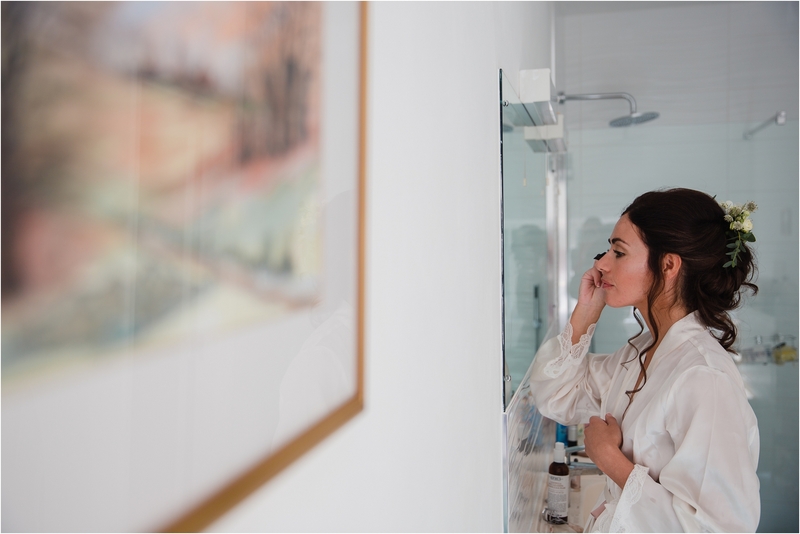 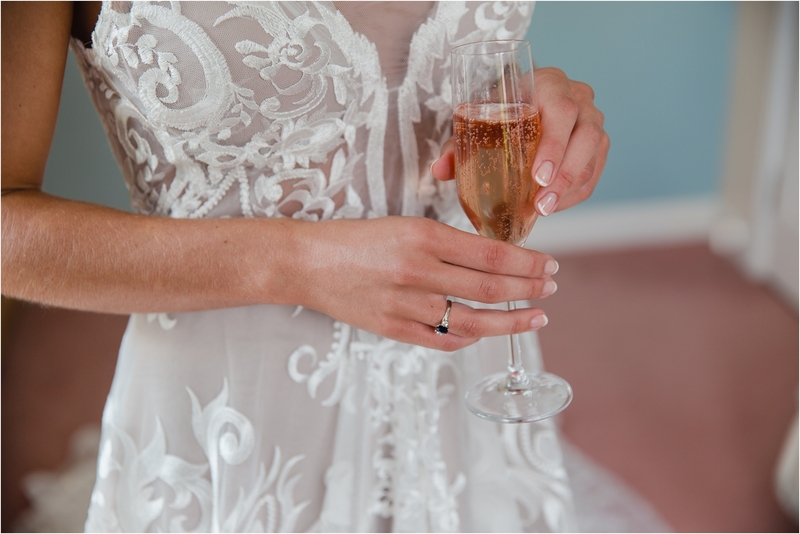 It was stunning and suited Amanda’s petite frame and Mediterranean complexion perfectly. 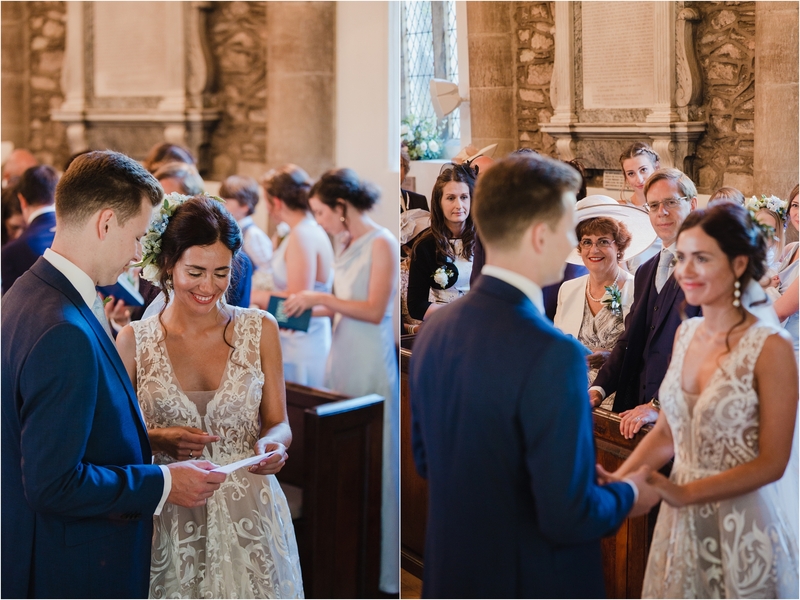 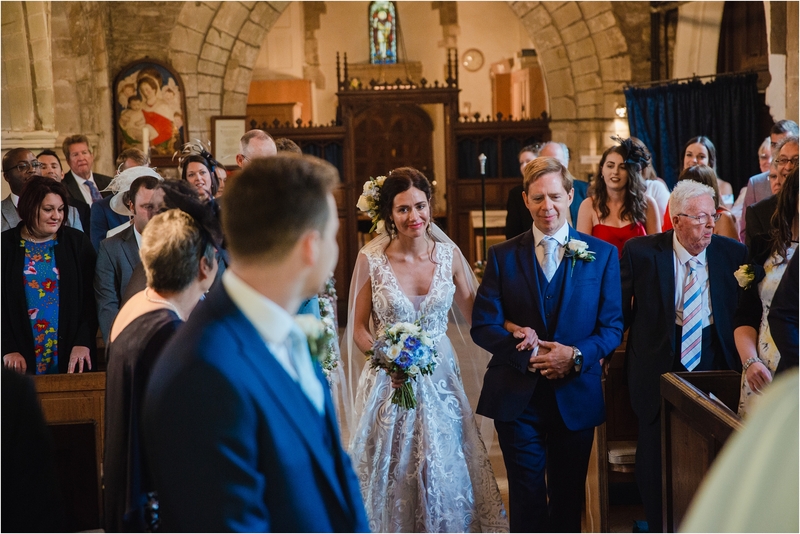 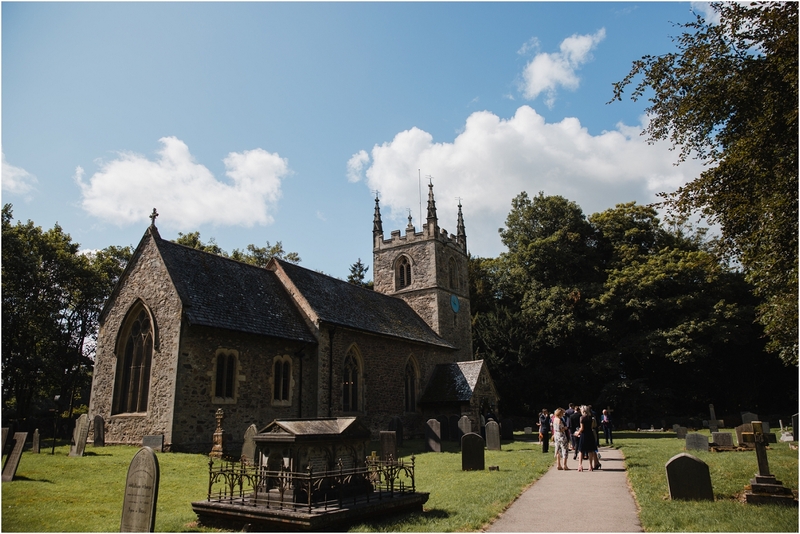 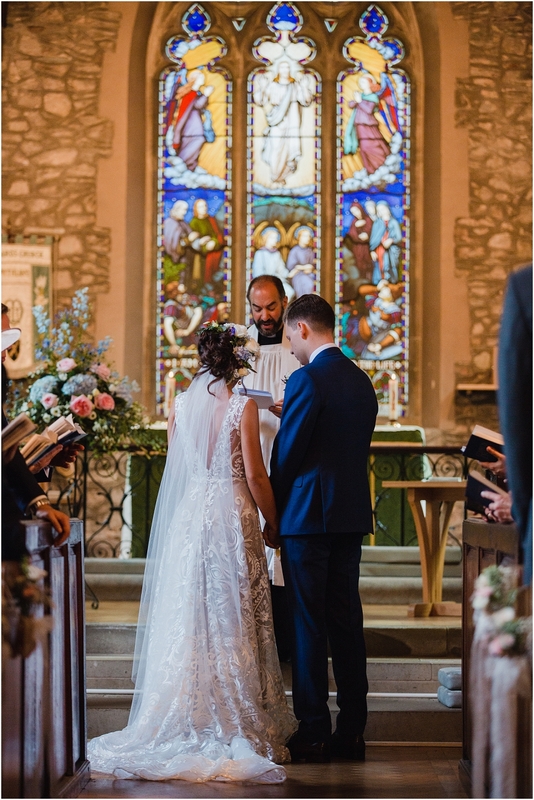 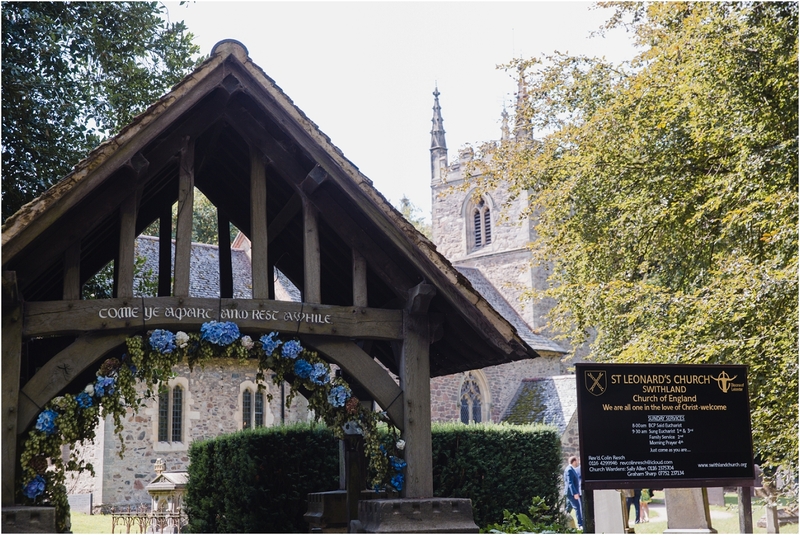 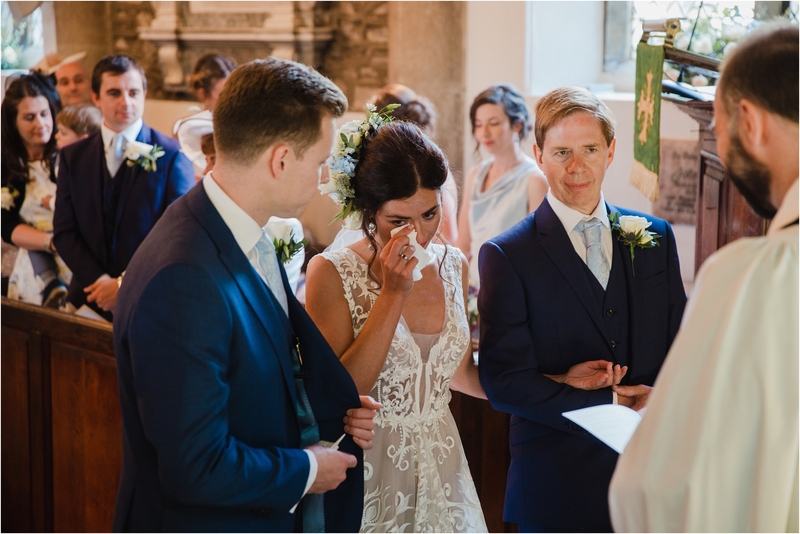 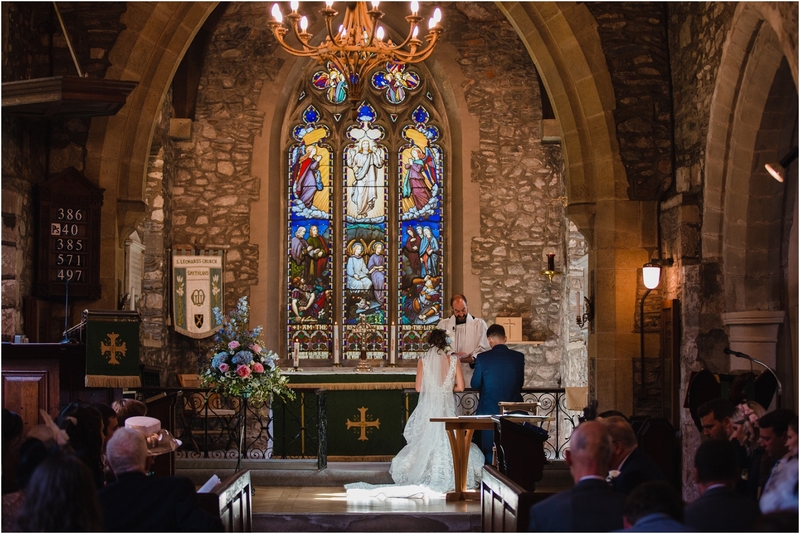 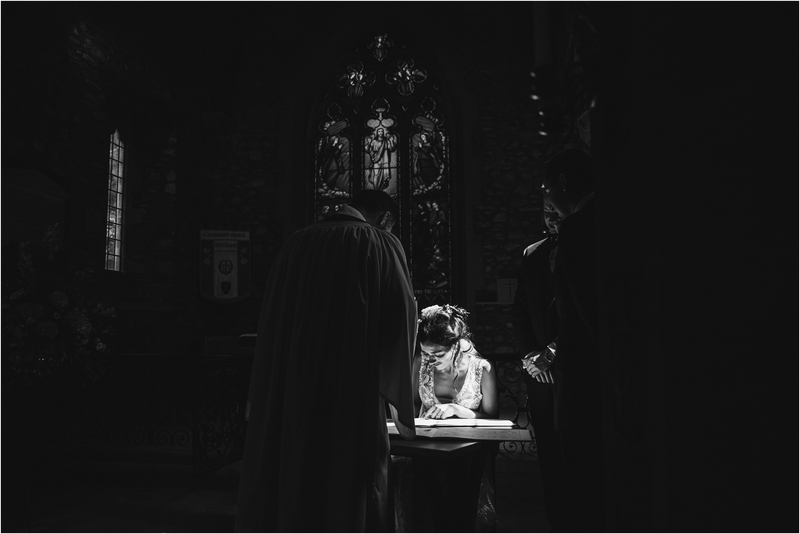 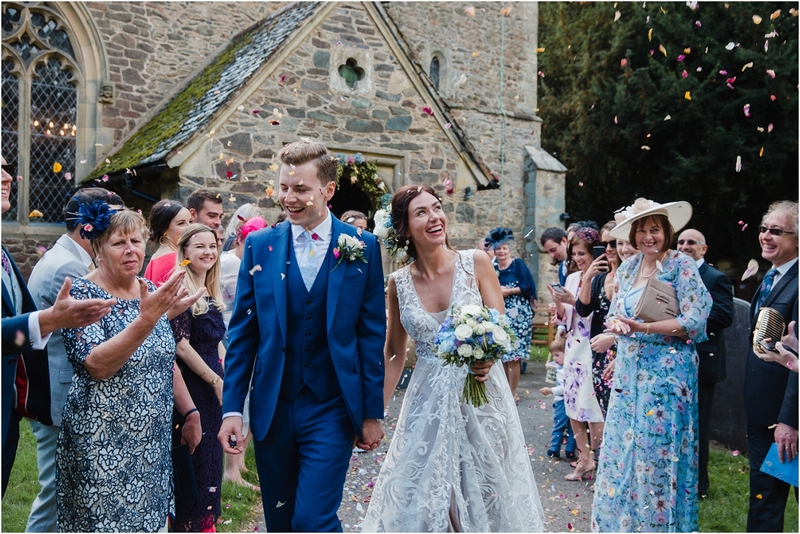 Amanda and Jimmy chose to have their ceremony at the local village church just meters away from the where the girls spent the morning at Amanda’s parents’ house in a beautiful village in Loughborough. 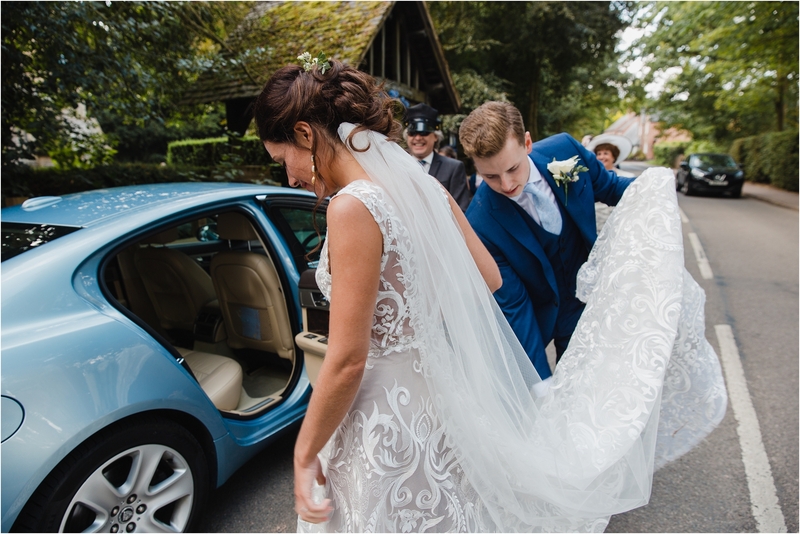 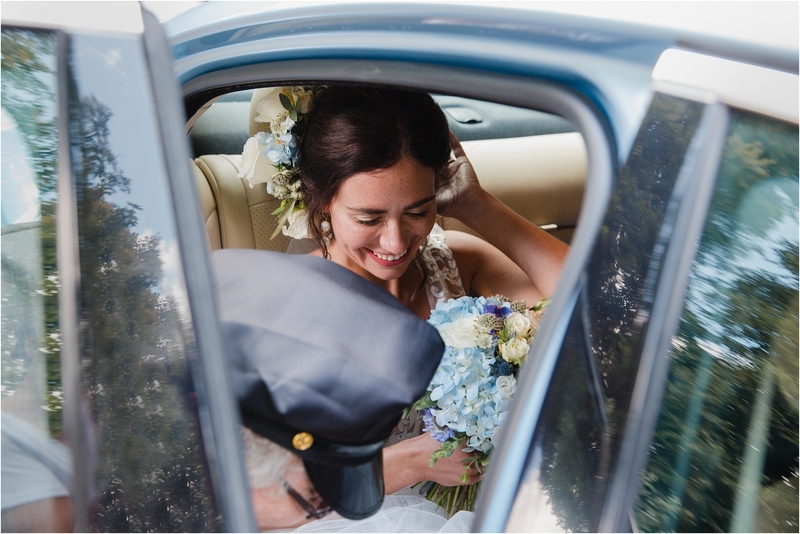 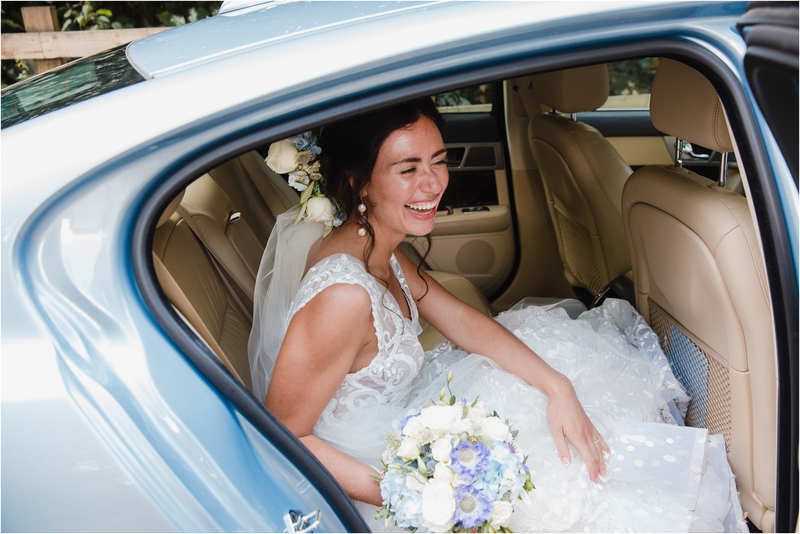 After a lovely ceremony the guests congratulated the newlyweds and sent them off to their reception at Sutton Bonington Hall in style in a friend’s vintage car. 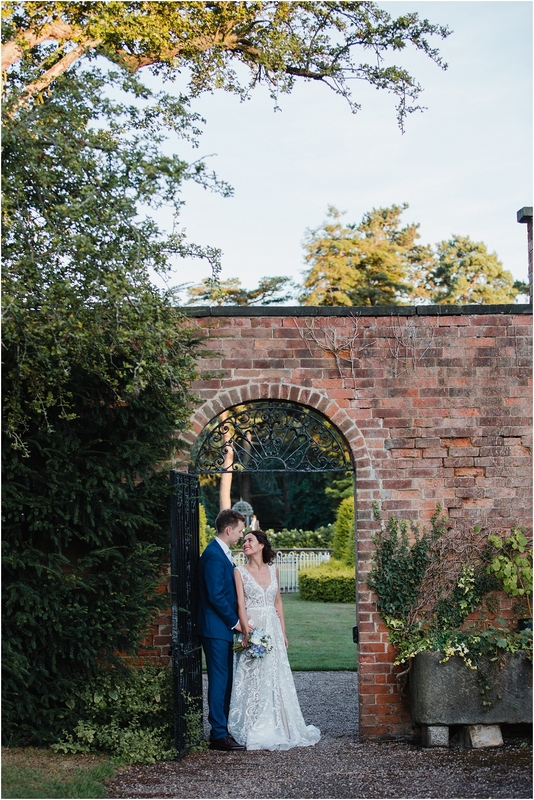 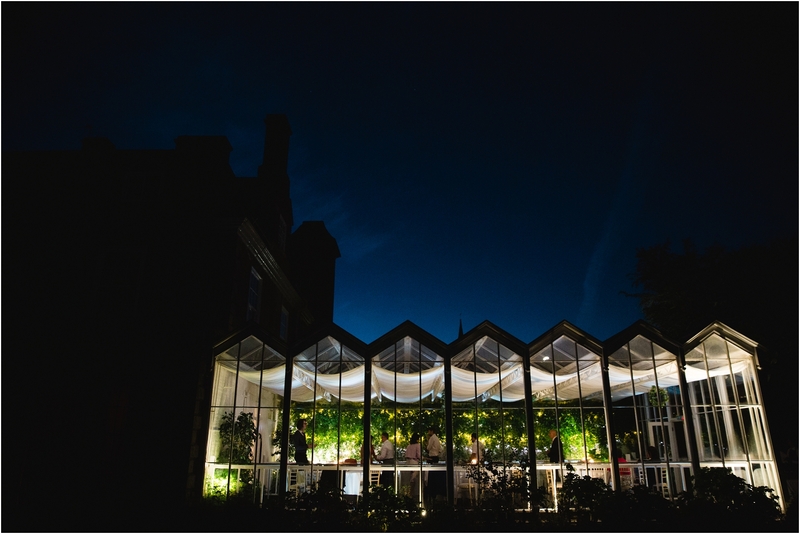 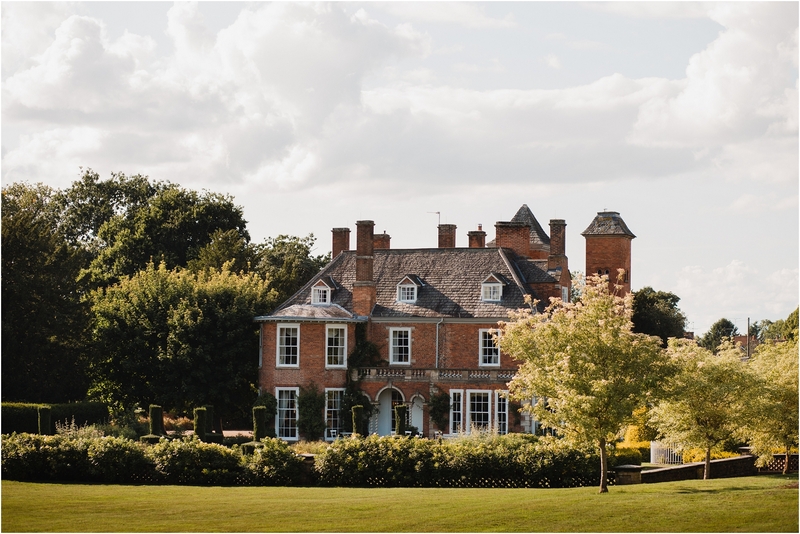 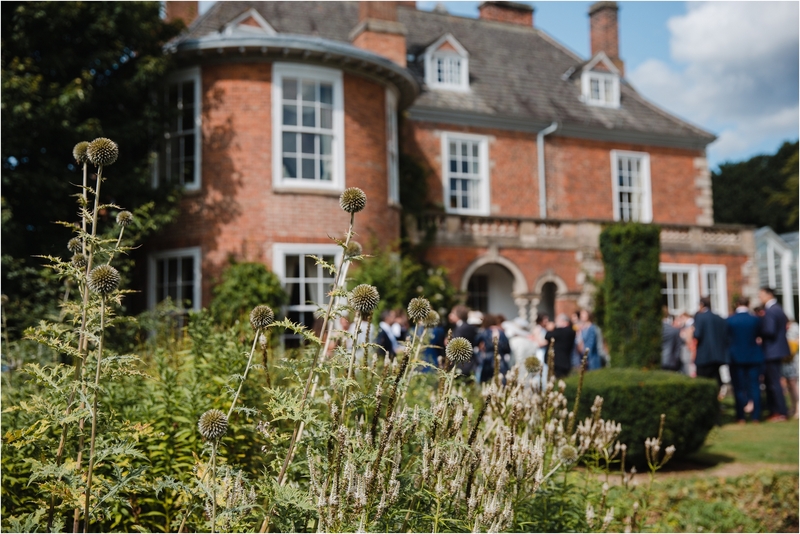 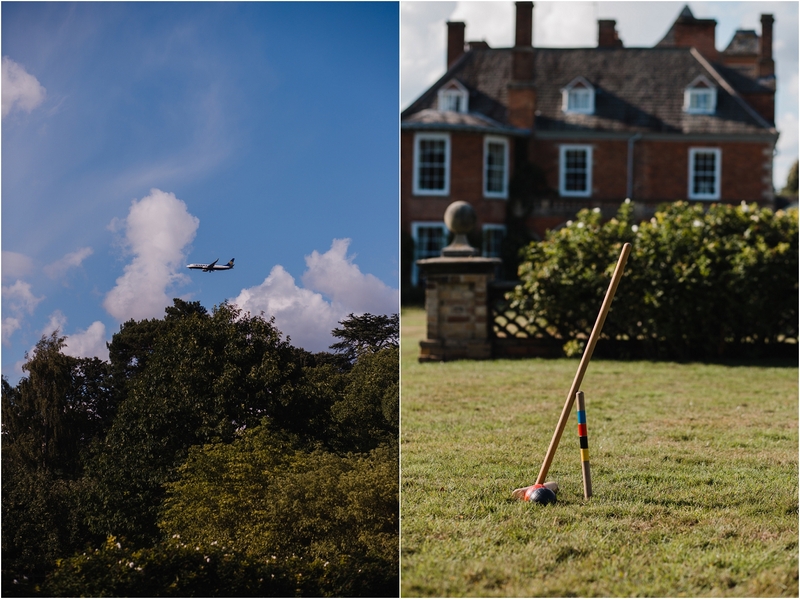 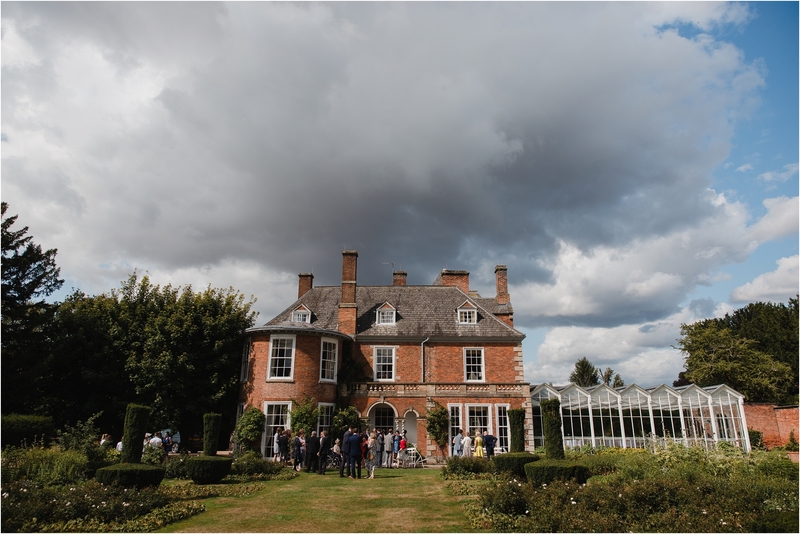 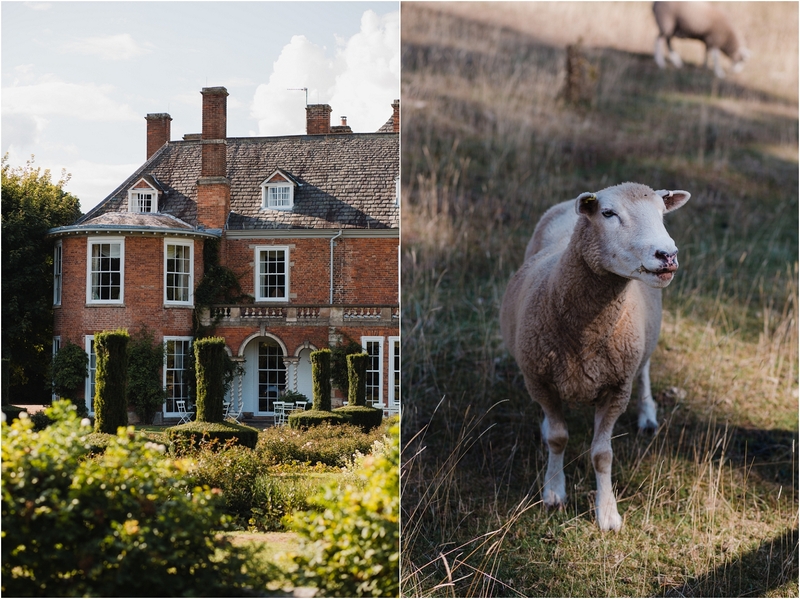 The relaxed flow of the day meant the bride & Groom had plenty of time with their guests sipping champagne and nibbling delicious canapes in the beautiful gardens of Sutton Bonington Hall. 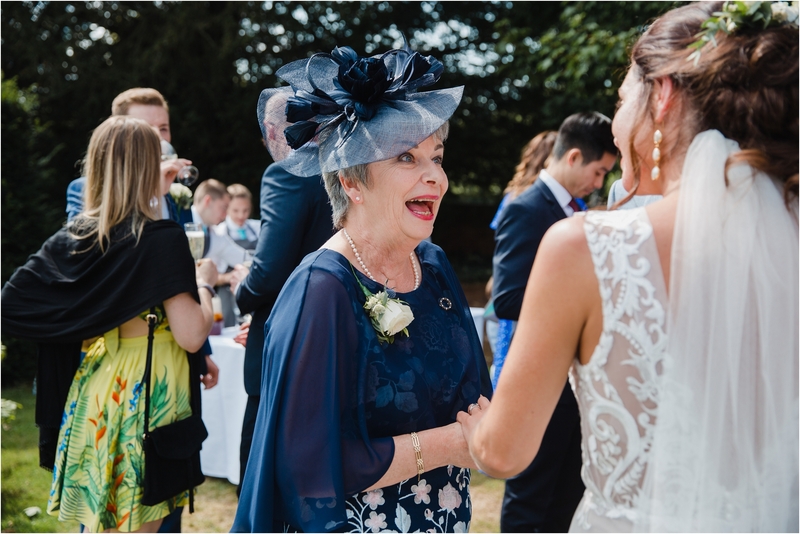 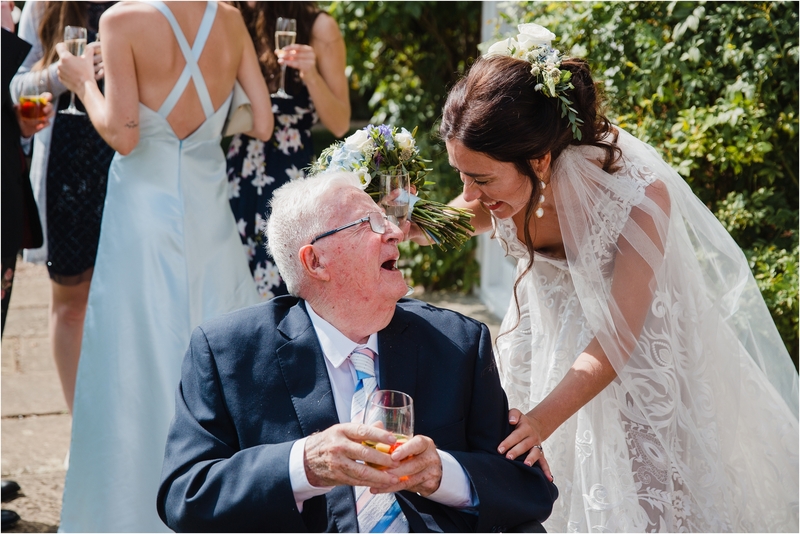 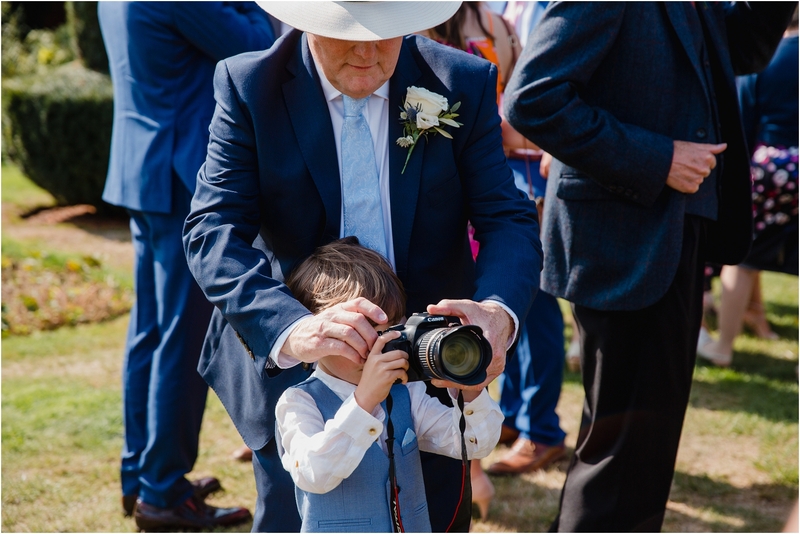 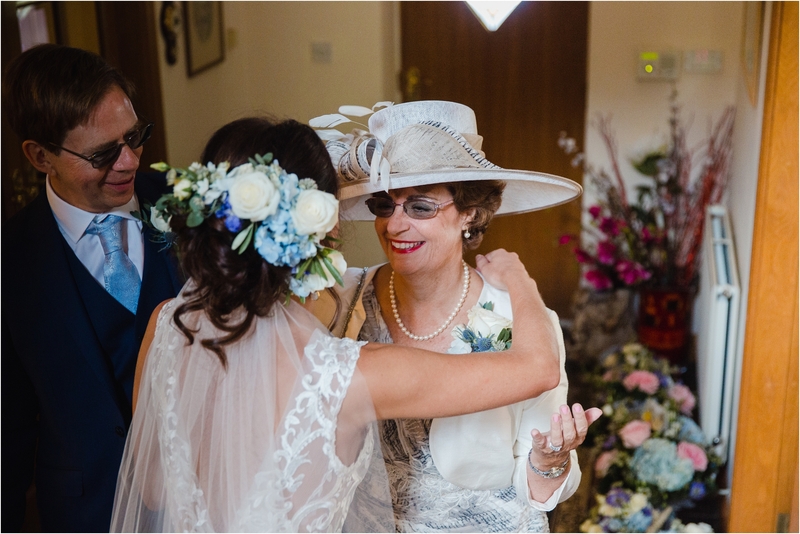 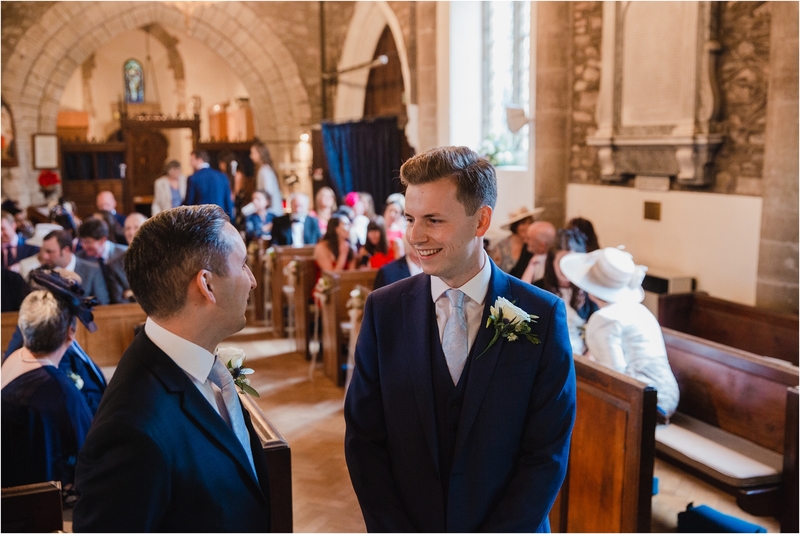 I love these moments during a wedding day, having this lovely relaxed time allows me to capture some of my favourite moments ; the natural interaction of people with bubbling conversation and shared laughter. 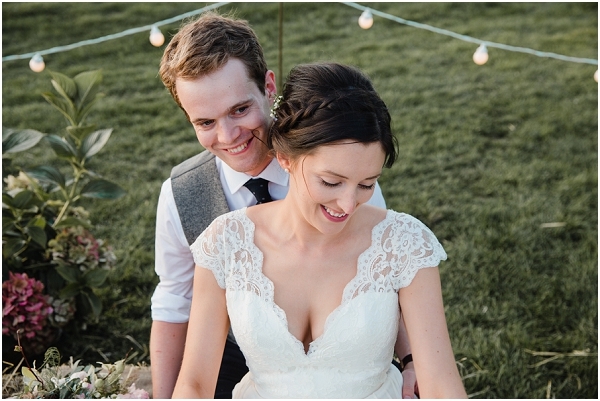 Thank you, Amanda & jimmy, for your joy, for your enthusiasm, and for your trust in me as your wedding photographer. 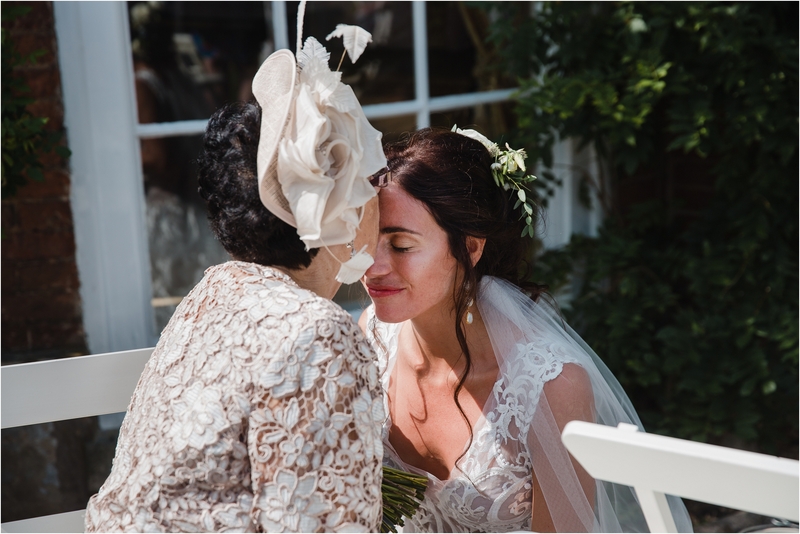 Your wedding day was a beautiful and wonderful celebration of love and family and I couldn’t have been happier to capture it for you!